In my latest monthly retail round up, celebrating experimentalism and new season innovation on the high street. 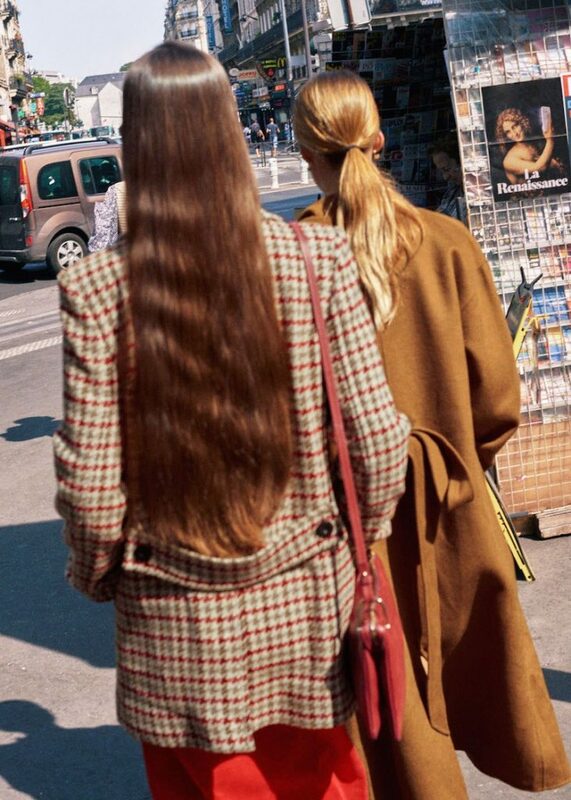 H&M Studio drops with strong retro looks, John Lewis is all about Instagram influencers for its own-label brands, Sezane opens in London’s Notting Hill and & Other Stories gives us luxury hair vibes. There’s more than a hint of cult TV series Twin Peaks’ 50s vintage wardrobe aesthetic for H&M Studio’s AW18 collection. The retailer calls it ‘Neo Noir Chic’ with looks inspired by a hybrid of 50s movie icons ‘with their era-defining looks’, and grunge-infused indigo precision denim jackets (we think they’re more of a nod to Calvin Klein by Raf Simons). As ever with H&M’s Studio collection, pieces are trend-led and in limited supply – so we’ll be shopping for the denim ‘is it a shirt or jacket’ before checking out Twin Peaks dream sequences on Netflix for our retro inspo. John Lewis has been quietly focusing on growing its portfolio of own-label brands and this autumn, the UK department store is investing in a team of Instagram influencers for highly personalised content campaigns across its Modern Rarity, Kin and And/Or labels. Why is this news? Despite the brouhaha earlier this year around Instagram’s shifting focus on algorithms and what it means for the influencer-economy, there seems to have been a tipping point in 2018 of consumers accepting and embracing social-shopping via this cohort. So, it’s props to our friends and colleagues including @FashionFoisGras, @DoesMyBumLook40 and @StyleMemos for their #sponsored Insta-wardrobes. Meanwhile we’re counting down the days until John Lewis & Partners launches on 4 September. With its seasonless style approach and grown-up wardrobe mentality it’s ticking a lot of boxes for DRG’s #TheNewGarconne aesthetic. 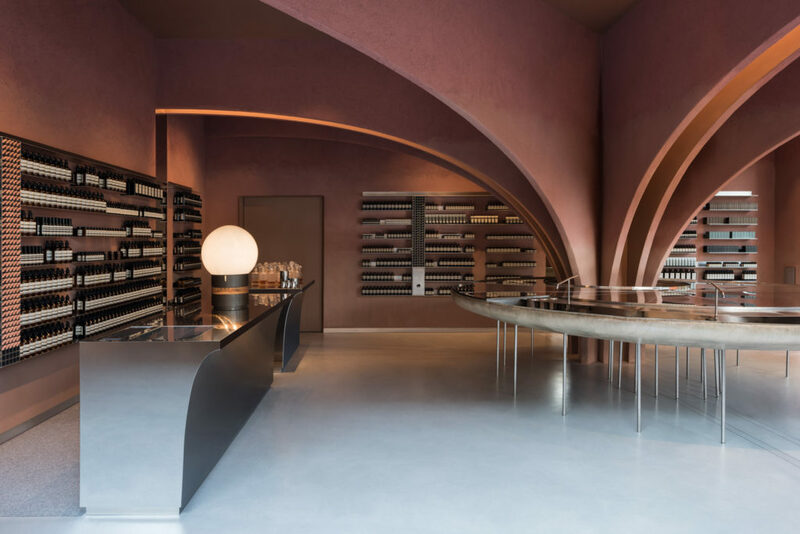 With design ateliers in Stockholm, Paris and Los Angeles, & Other Stories (above and top) has chosen the Marais area in Paris to open a new retail concept. Located in contemporary fashion hotspot Vielle du Temple, the 880 sq m store will see the H&M-owned brand start experimenting with additional product categories as well as putting more of a focus on customer experience. One of these experiences will be an artists’ residency, with local artist collaborations showcased in a dedicated community store area. Artist and fashion stylist Camille Bidault-Waddington is the first collaborator, whose jewellery and ceramic artworks are on display in-store with a sale that runs until September 16. 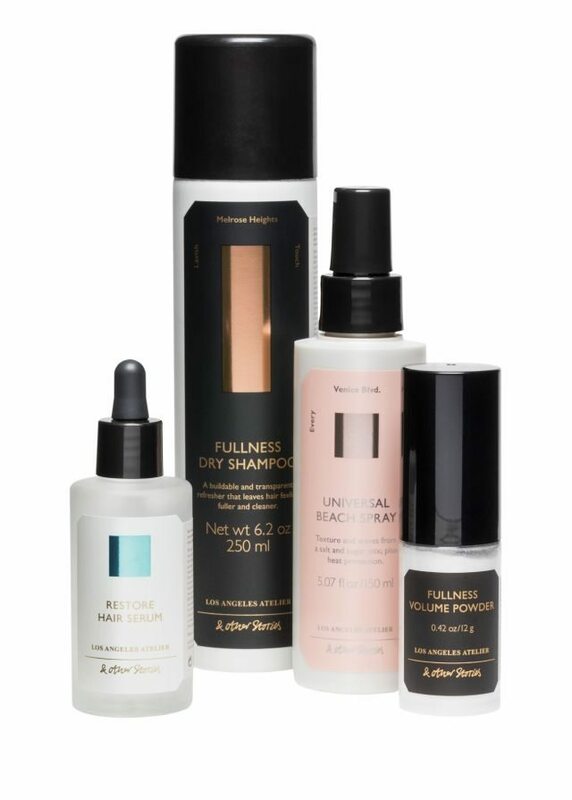 In other news, & Other Stories has recently launched a haircare range, featuring premium packaging with high-street prices and products – including shampoos, scalp scrubs and targeted serums – that are inspired by Los Angeles’ biggest hair trends. This retail column is a guest post for DisneyRollerGirl. You can shop the brands mentioned here via a shopping gallery. 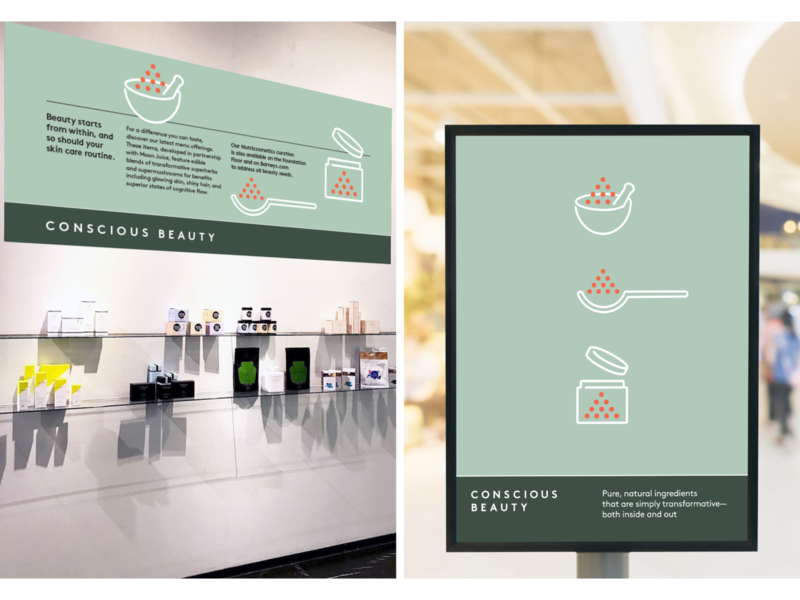 With a wave of new wellness retail concepts opening from London to Los Angeles and New York, the trend for self-improvement through healthier lifestyle choices – such as veganism and clean beauty – has changed the beauty retail landscape. Now the focus is on personalised health, whether that’s modern apothecary experiences that mix tailor-made nutrients, botanical ingredients etc, or more holistic-inspired, one-stop-shop beauty community destinations. Here are a few recently opened beauty and wellness stores to visit, for an inspiring retail trend safari. L’Occitane’s new flagship store on Regent Street is a great example of convergent retail – the French skincare brand has collaborated with patisserie king Pierre Hermé on an in-store café – and the gastro-beauty hybrid destination combines luxurious skincare rituals, floating botanical decorations, a wellness spa and a menu of themed sweet treats and drinks. 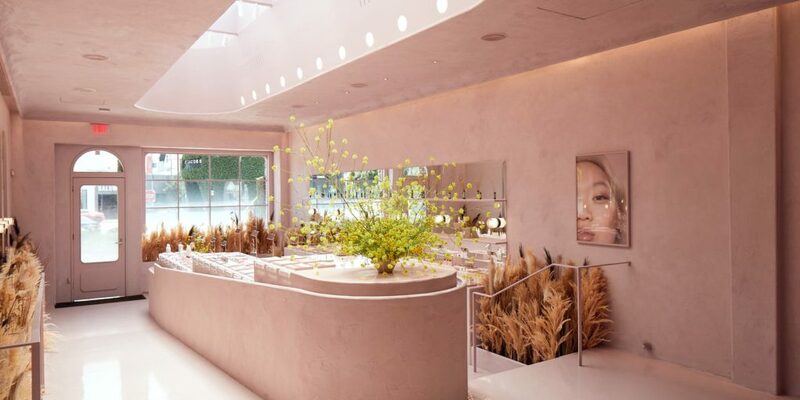 The store design by Futurebrand UXUS, is described as ‘a contemporary Provençal landscape in the middle of London’. 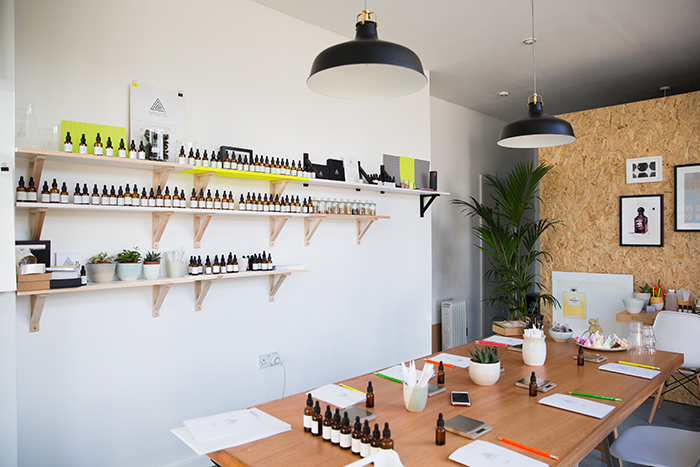 There’s a new retail enclave in West London where emerging names across wellness, food and beauty are being given the chance to find their feet. Ecclestone Yards is a new retail village near to Victoria station, Pimlico and Elizabeth Street where names including Barry’s Boot Camp, Tart London, SMUK , Tailor Made and Re:Mind are driving a local, entrepreneurial wellness community. Channelling Brazilian architect Oscar Niemeyer’s curved concrete designs, the new Aesop store in Chelsea features a ‘tree of life’ central structure – a fan of 12 arches covered in rose-pigmented clay plaster – while a 4.5m disc-shaped sink underneath is at the heart of the store experience, where customers can receive personalised recommendations at one of four running water stations. The interior colour scheme is intended to ‘relate back to the body’ and create a ‘soft human feeling’, according to design firm Snøhetta. 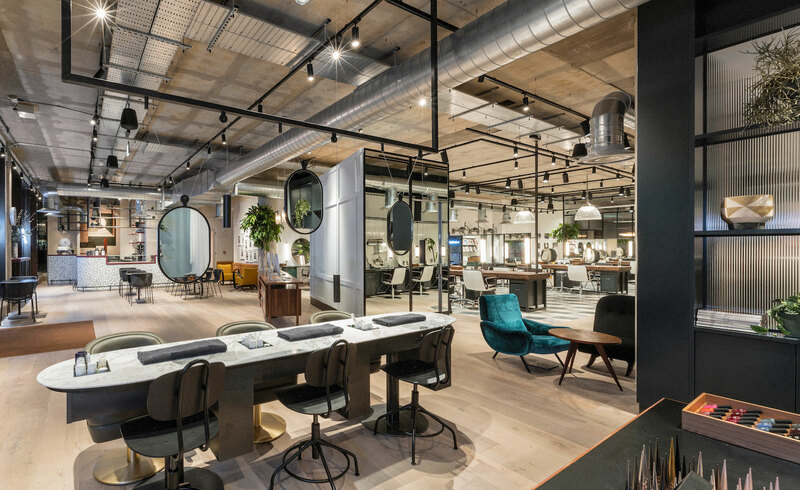 A convergence of multi-tasking hair and beauty salon, co-working space and social café c/o Sans Pere, means the new Hershesons flagship in Fitzrovia takes care of a range of wellbeing needs. Via a roster of third party beauty retail collaborators including Suman Brows, The Light Salon and Sunday Riley, Hershesons is ticking the grooming plus work-life balance boxes. 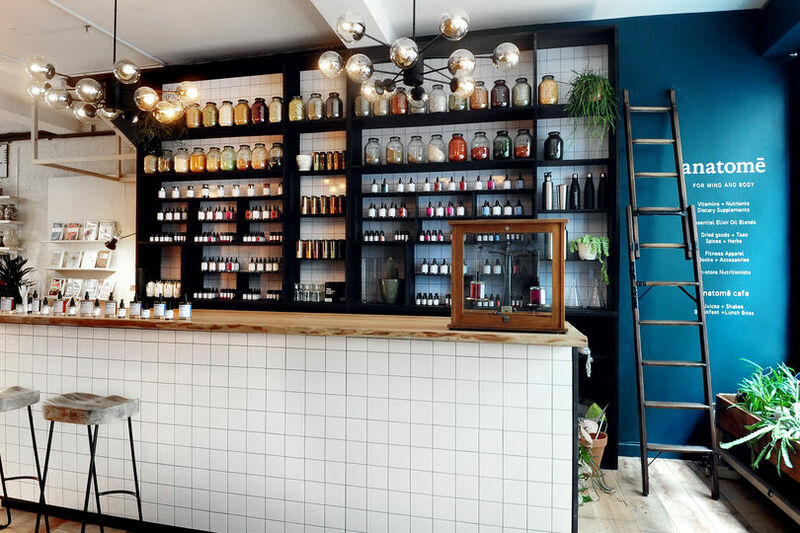 Fans of health supplements, nutrient-rich teas, essential oils and wellness guide books can find a tailor-made retail experience at new Shoreditch hybrid retail-café location, anatomē. Described as an ‘apothecary-type bar’ by founder Brendon Murdock, stressed out urbanites who are seeking health hacks for Sleep + Relaxation or Heart + Blood Health will find a personalised welcome at the juice bar as well as a weekly schedule of in-store talks and events on all things health, wellness and fitness. Home to a host of niche and cult organic skincare and fragrance brands, The Conran Shop is quietly expanding its beauty and wellness offer. 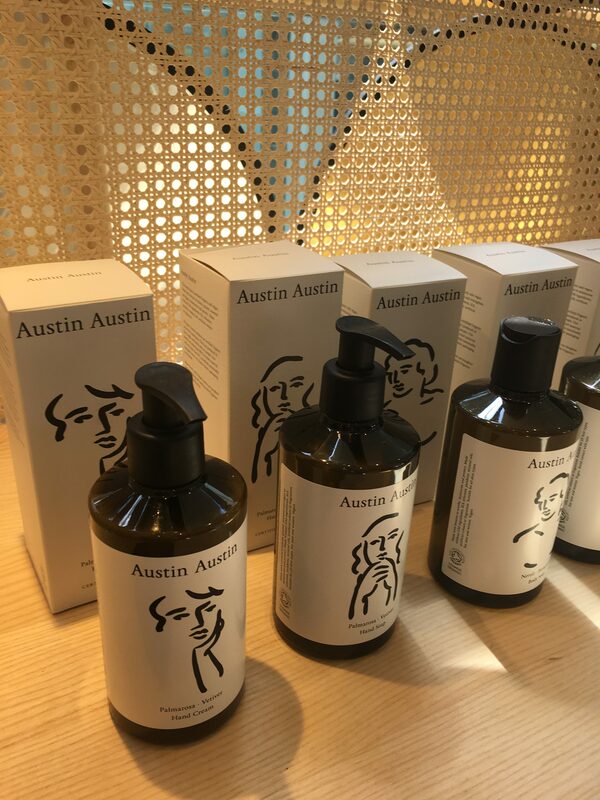 Nestled next door to the terrariums in the garden shop find mindful diffusers by Japanes brand Vital Material or update your bathroom shelf by investing in new British father and daughter organic hair and skincare line Austin Austin. 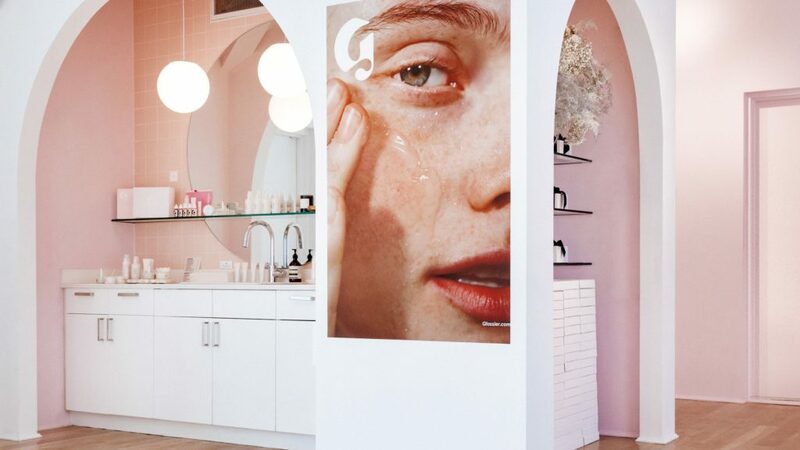 For Glossier, there is no need to move on from Millennial Pink – it’s in their DNA. 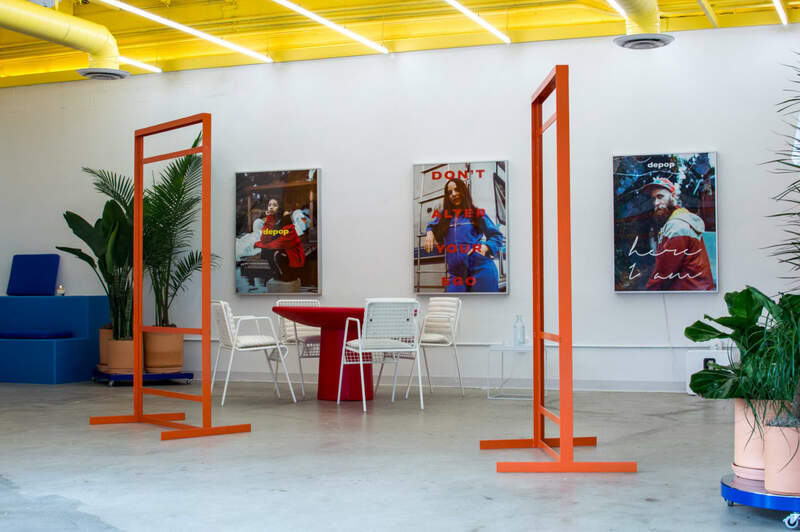 It’s also the experience-driving colour of choice for the hip digital-turned physical beauty brand’s new Melrose Place destination store that features a Laurel Canyon theme – both in floral displays and desert style visual merchandising cues, not to mention an Instagram friendly selfie wall fashioned as a mountain opening. 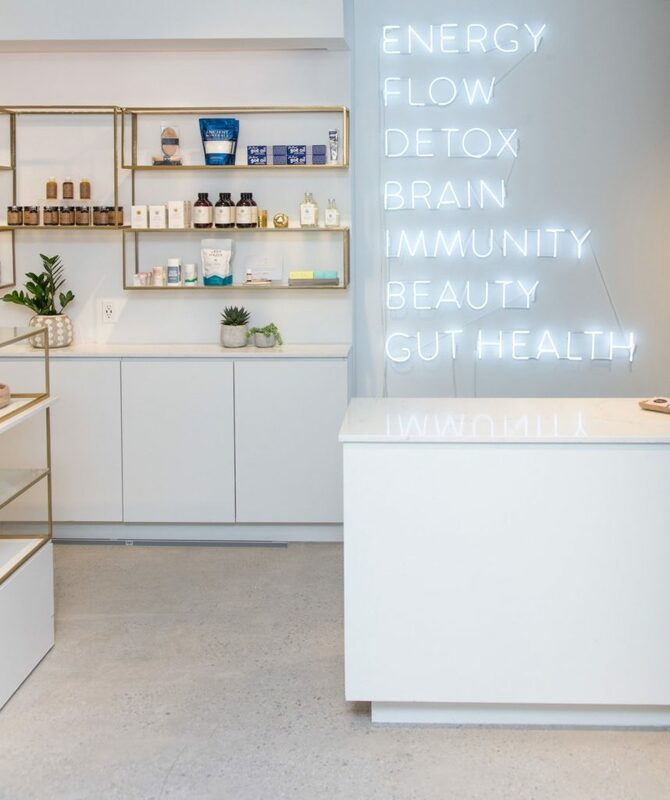 It’s a holistic range of edible supplements meets all-natural skincare and cosmetics at CAP Beauty’s new outpost, housed within Fred Segal in Los Angeles. Here the US brand’s co-founders, Cindy DiPrima and Kerrilynn Pamer, say they want to provide a point of different for shopping in a physical location for their multi-brand focus on natural products that are easily shopped online, favouring a community space for customers to learn and for collaborators to hold talks, such as wellbeing specialists Apothecanna, which specialises in CBD treatments. Neiman Marcus has got the clean beauty memo. 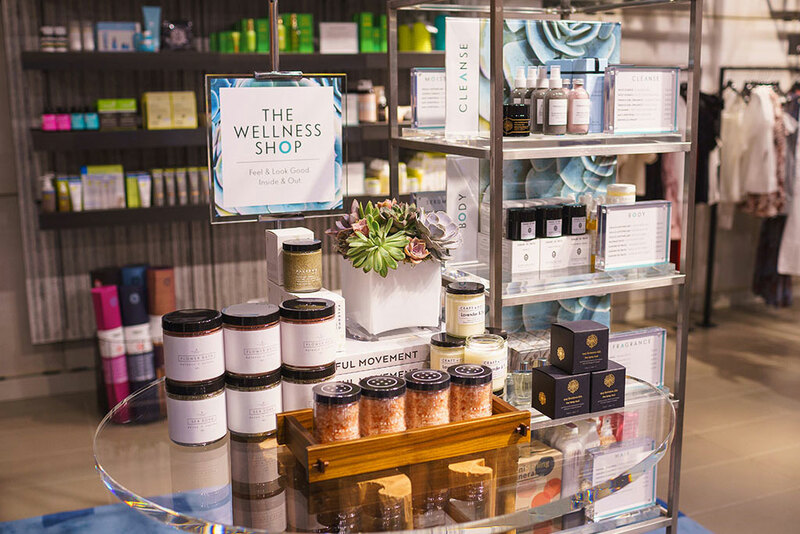 After launching The Wellness Shop alongside brands such as Alo Toga, Tory Sport and Blanc Noir in the activewear section of its NorthPark, Dallas flagship, the department store has expanded the wellness beauty offer – including brands such as French Girl Organics, Vinter’s Daughter, Grown Alchemist and our favourite Sangre de Fruta at the Los Angeles and San Francisco locations. When a spa brand opens a retail space, we can see how far the clean beauty movement has come. 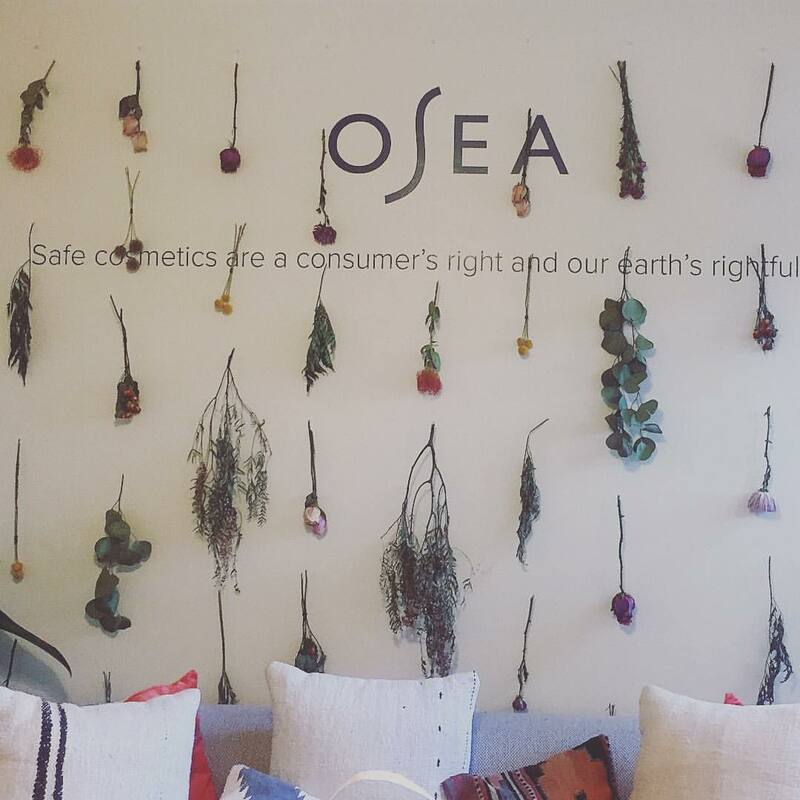 After 22 years of providing natural ingredients to facials junkies, Osea has opened its first Skincare Studio on Abbot Kinney in Venice Beach. With a wall dedicated to its natural ingredients and their skin enhancing properties, customers can shop for products or choose from three different luxury facials on-site. Saks was one of the first department stores to join the wellness retail concept wave last year, (alongside Harrods, Selfridges and Harvey Nichols), and has used its Wellery store, now a permanent fixture, as a reason to revamp its entire beauty department, which has now moved to the second floor. One year on, The Wellery continues to change consumers’ perception of beauty and wellness, via its roster of third party wellness service providers such as Bendable Body, Peloton and Technogym for Wellery Body or Ron Dorff, Trish McEvoy and Bodyism for Wellery Spirit or Breathe Salt Room and Skinney MedSpa for Wellery Soul. From cryotherapy chambers to super-charged vitamin IV drip treatments, Clean Market is a new wellness destination concept conceived by entrepreneur and influencer Lily Kunin of Clean Food Dirty City blog fame. 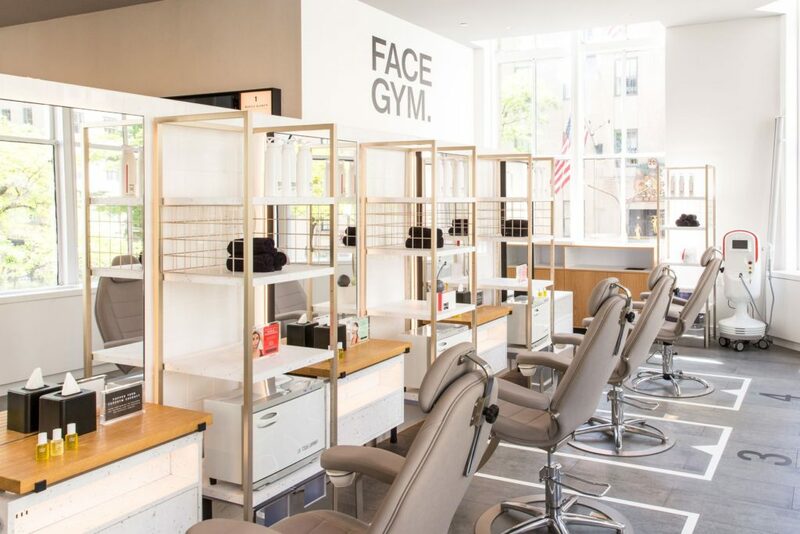 Alongside the range of extreme therapies, CBD ingestible supplements and organic skincare offer, visitors will find a Moon Juice functional latte bar and smoothie café designed for wellness afcionados that like Kunin, take an inside-out approach to beauty. Here’s my latest monthly retail round-up for Disneyrollergirl celebrating experimentalism and innovation on the high street. From re-sale to re-make, this month our news feed is buzzing about the latest sustainability campaigns from high street players, while influencer-commerce is entering a new democratic phase. COS is the latest H&M brand to launch a dedicated circular-fashion collection as part of its goal to be using 100% sustainably-sourced materials by 2030. 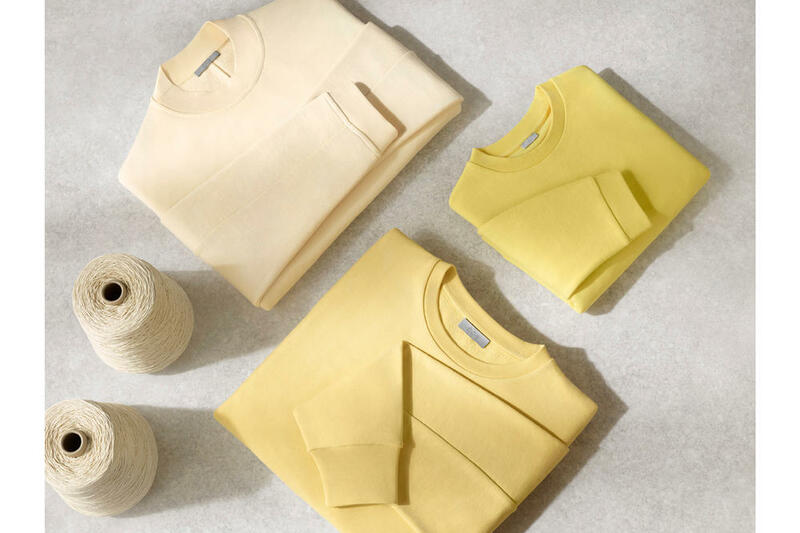 The Repurposed Cotton Project (above) is a capsule line of sweatshirts for men, women and kids, made using cotton scraps left over from the brand’s main production process. After shredding and compacting the surplus cotton, COS re-uses it to make freshly dyed crewneck sweatshirts that are the same price point as regular COS products. ‘The repurposed sweatshirts look and feel exactly the same as other similar items. It was challenging, but also very important that we have been able provide the customer with the same level of quality,’ COS creative director, Karin Gustafsson told Glossy. H&M has opened a new concept department-store style flagship on Rue la Fayette in Paris, in the same area as Paris luxury destinations Galeries Lafayette and Printemps. With this 5000 sq. m store, set over six floors, H&M is launching a new ‘Take Care’ retail campaign. 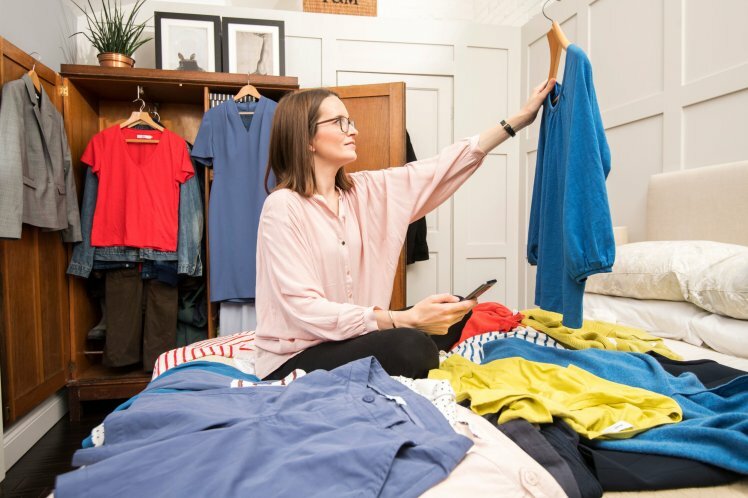 Customers are invited to ‘refresh, repair and remake’ their wardrobes across a number of store experiences, such as repair and customisation stations and an environmentally friendly laundry product area. Plus there will be regular showcases for H&M’s sustainability-focused collections such as Conscious Exclusive, which is made from recycled fibres. 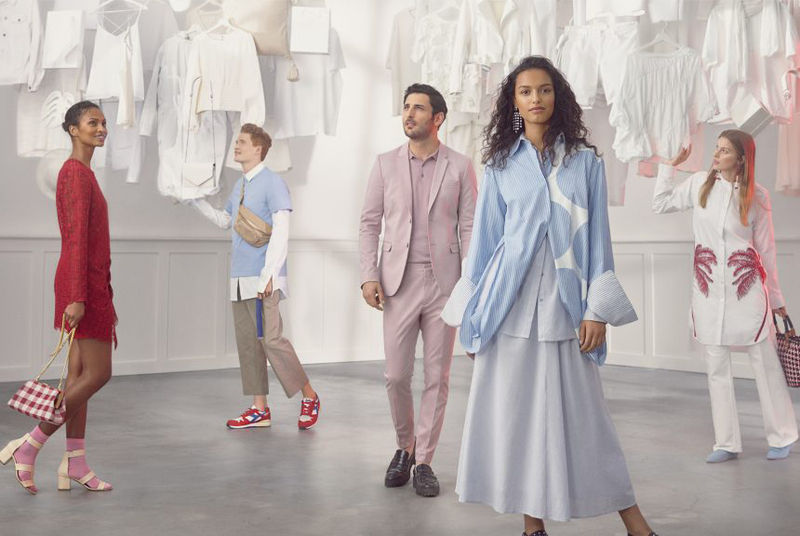 The new look flagship will be the blueprint for H&M’s other ‘tier one’ stores, where exclusive events such as new capsule collection previews will take place for members of the H&M Club loyalty scheme. Behind the scenes, a raft of new in-store tech such as artificial intelligence (AI) and radio-frequency identification (RFID) tags will help H&Mprovide more efficient customer services and turn its flagships into click and collect destinations that are more in tune with online shopping habits, according to this Business of Fashion report. H&M has quietly opened its new off-price retail brand, Afound in Stockholm and Malmo, as well as online. 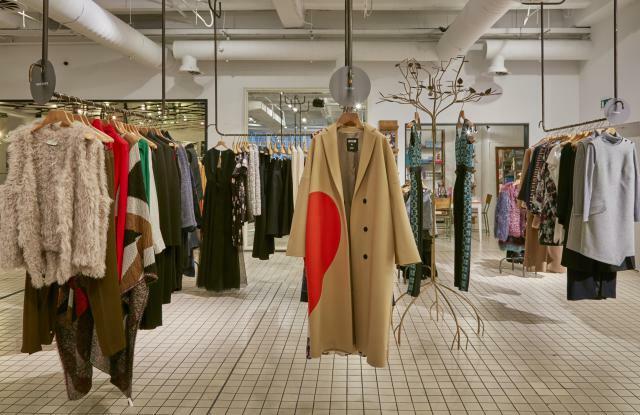 Selling old stock from a mix of H&M-owned brands such as COS or Monki alongside Nordic contemporary brands such as Whyred and Ganni, customers can shop street-style inspired looks or ‘trending’ pieces. ‘The idea was to create an innovative marketplace in the off-price sector with a relevant, curated and inspirational offering for our customers, says Mattias Ekberg, creative director. 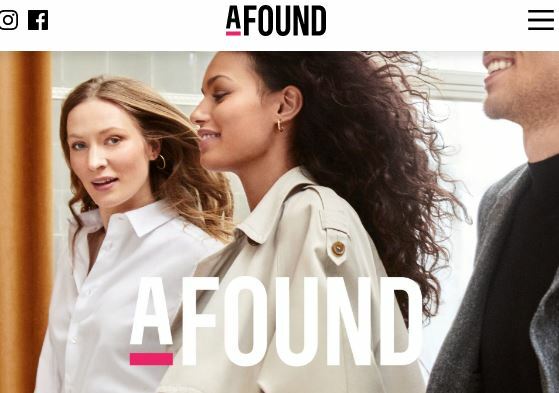 Afound feels like a cross between ASOS, Zalando and a mid-market The RealReal offer – and describes itself as a ‘style and deal-hunting paradise’. We like the mix of visual-search recommendations, unexpected brands and bargainista tone of voice – a combination that’s likely to raise the profile of re-sale marketplaces on the high street. 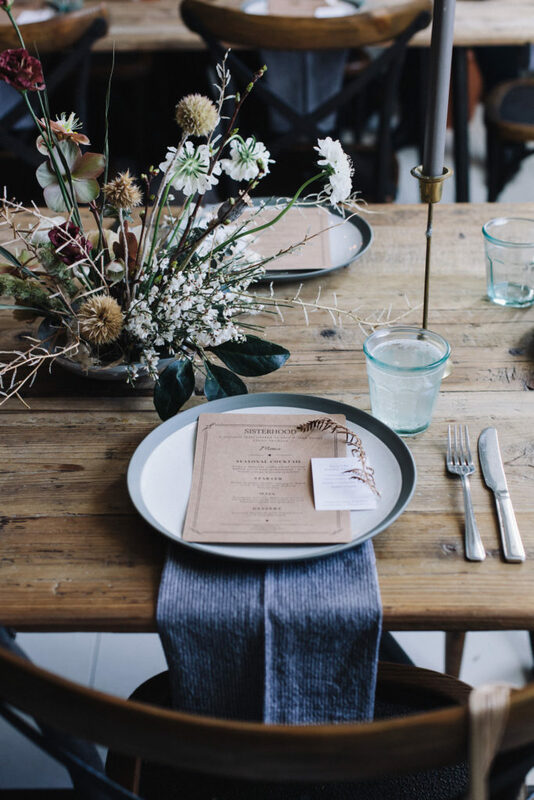 We’re brushing up on our Swedish while we Shop the Style on the Afound website here. The re-sale market is gathering pace on the British high street, thanks to a pilot incentive scheme from John Lewisthat is working with social enterprise app Stuffstr, to buy back worn and unwanted clothing from its customers. The aim is to reduce the amount of clothes that are sent to landfill every year. While customers need to have bought the clothes from John Lewis in the first place, anything from socks to suits can be scanned, uploaded, valued and collected in exchange for vouchers. ‘We felt Stuffstr offered a unique solution to this particular issue, which shows people the value of items they no longer wear, and encourages them to change their habits to buy high quality items which last a long time,’ John Lewis sustainability manager, Martyn White, told Vogue. Is this a tipping point for ownership of fast-fashion wardrobe excesses? Consumers are more educated now – M&S, H&M and Zara all have unwanted clothes drop off points in-stores already – but John Lewis is raising the bar a touch higher with its phygital approach. By utilising the convenience of technology combined with the current consumer trend for ‘reducetarianism’, there’s more incentive than ever to redefine what it means to have ‘enough’ clothes. Influencer-commerce has shaken up the fashion industry – first editors became store buyers, bloggers the new design collaborators and now fashionistas are doing the job of retailers. 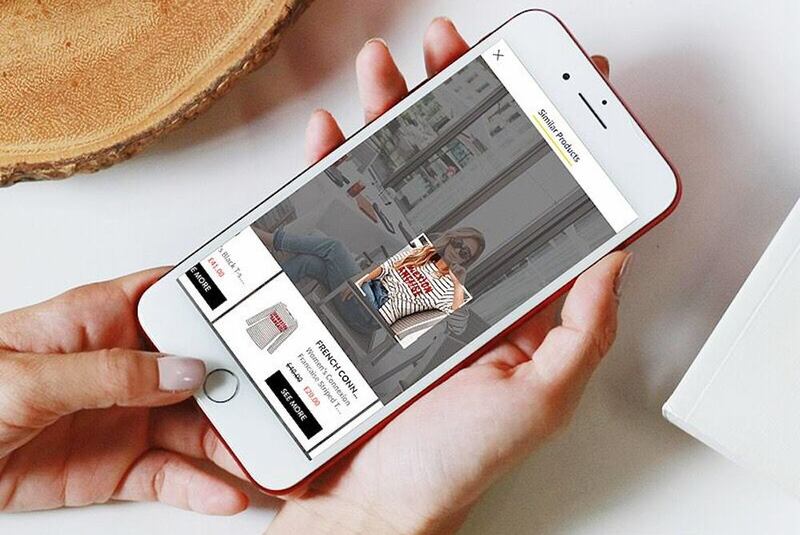 And while Instagram or luxury sites such as Vestiaire Collective are the catalyst for much of the change, emerging community re-sale apps are taking the movement into mainstream territory. Meanwhile the Browzzin app has launched with the idea that everyone can benefit from affiliate links through its AI visual-search technology. 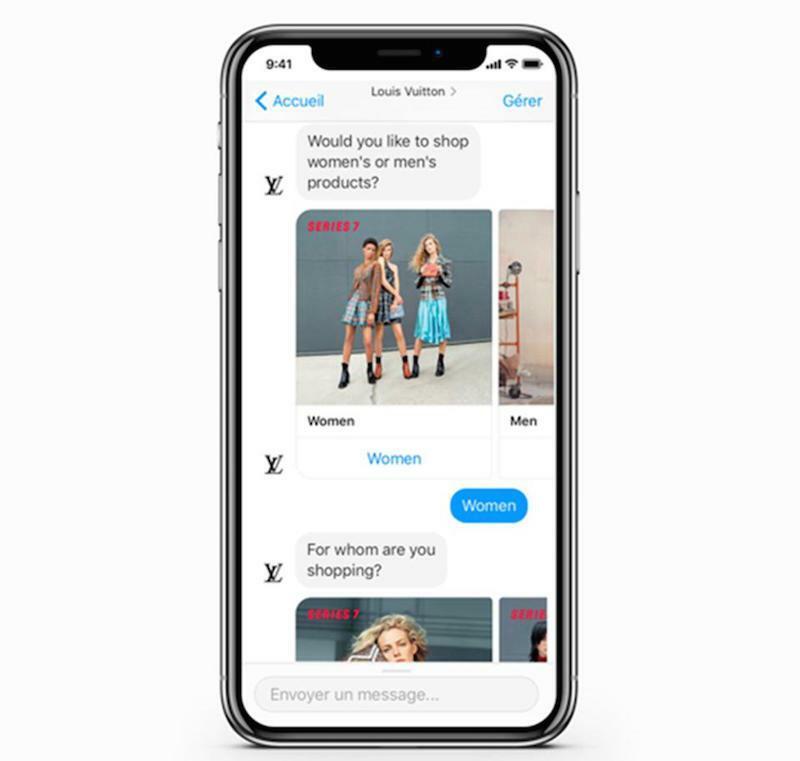 The shopping platform works by linking outfit posts from influencers and consumers to recognised, similar products available in nearby stores via geo-located user searches – and there are a raft of high street names already on board including ASOS, Topshop and Uniqlo. ‘The beauty of Browzzin is that the curation is done by users with our AI supporting them to make it seamless. With several million products and over 10,000 brands, our catalogue offers massive choice and we are committed to adding more brands every day,’ explains co-founder Harry Markle. 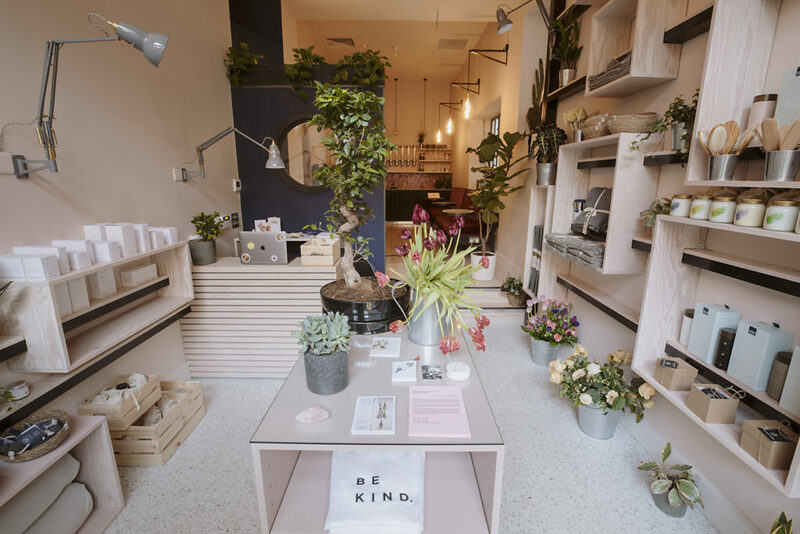 Self-care in a transformation economy is driving a new wave of experiential wellness spaces, from craft workshops to mindful retail or galleries. The transformation economy is a rapidly growing market, according to a recent Business of Fashion report as consumers move away from purchasing products and move towards spending money on mind or body enhancing experiences. Craftmaking workshops such as Sisterhood Camp offer both an opportunity to upskill and a few hours of digital detox for young urbanites. Those signing up for one of Sisterhood’s Spring Self-care sessions can learn about replenishing natural foods and seasonal skincare ingredients. The art of personalised, memory-driven fragrance making has become an experiential retail trend, with workshops such as the Experimental Perfume Club, or the more mass-market Floral Street, offering unique blends for customers in search of something more meaningful. 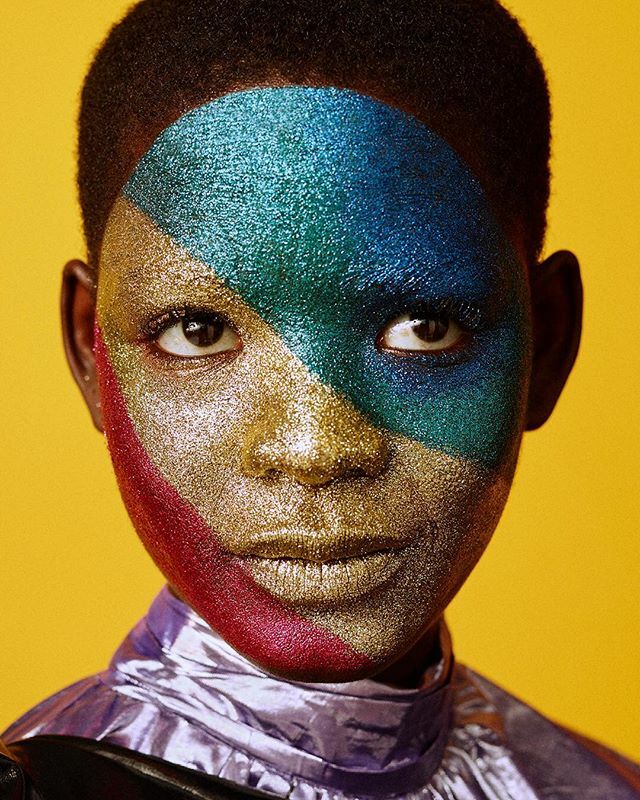 Harmonics in Space by artist and fashion designer Fred Butler, is on at the NOW Gallery, Greenwich Peninsular, and explores colour coding and how different palettes affect moods, emotions and daily life. ‘We need a balance of all the colour vibrations in sunlight to nourish us energetically,’ says Butler. ‘Colour is intrinsic to my practice and I want to use that tool to attract, inspire and excite a new audience to the exhibition.’ Guests can explore how it feels to relax, create and meditate within the glass domed space, where the addition of a tactile spongy floor and iridescent shimmering hexagonal glass refractions should transport them on an other-worldly journey, where they can create an exclusive cosmic creature to match their mood. ‘Striving to find meaning in an uncertain world, consumers are seeking a greater connection to nature and a deeper sense of wholeness,’ says Jane Kellock founder of trend forecasting service Unique Style Platform. Lifestyle brands should take note of the new focus on mind / body enhancing experiences and consumers who are embracing modern mysticism that offers alternative self-care solutions. Kellock’s team are calling it the Now Age. ‘This macro trend is the subject of our latest trend briefing and panel event, where with guests from the fashion and wellness industries including Grace Winteringham co-founder of graphics specialist Patternity, Jill Urwin of She’s Lost Control and Semra Haksever aka Mama Moon, we will explore and debate the rise in modern spirituality.’ Attendees will also see USP’s latest spring/summer 19 trend film, also called Now Age. USP’s Now Age spring/summer 19 trend briefing event is 6.30pm tonight, at WeWork, Waterhouse Square, Holborn, London EC1N 2SW. Book tickets via Eventbrite. Here’s my new monthly retail round-up for Disneyrollergirl, where I celebrate experimentalism and innovation on the high-street. From the latest social campaigns to exciting new retail formats, we’re watching… and shopping. Save the date for 20th April, when The Shop At Bluebird’s new department store style venue (complete with sunlit central atrium and rooftop terrace) will open in an old coach station venue, recently renovated by Covent Garden property management firm CapCo. The new Floral Street location called Carriage Hall will open with a brand new Jigsaw next door and count designer stores including Kent & Curwen, Agnes b and Paul Smith as upscale neighbours. With a brand roster including Peter Pilotto, Helmut Lang, Victoria by Victoria Beckham and Theory, the new Bluebird and Jigsaw retail mix looks set to redefine destination retail on Floral Street. American Vogue provided us with the perfect upbeat moment last September with its modern interpretation of the 80s film classic ‘Working 9 to 5’. To celebrate the focus on power dressing in the AW17 collections, Vogue asked supers including Kate Upton and Joan Smalls ‘how to wear the new officewear’, and yes they nailed it. So it was just a matter of time for a brand to take the idea and run with it. Thanks Karen Millen for jumping in and doing justice to the re-interpreted power-dressing mood with your Be More Karen ad campaign this season. Werk it! J. Crew is shifting its marketing focus – out with the fashionista and in with the start-up crowd. 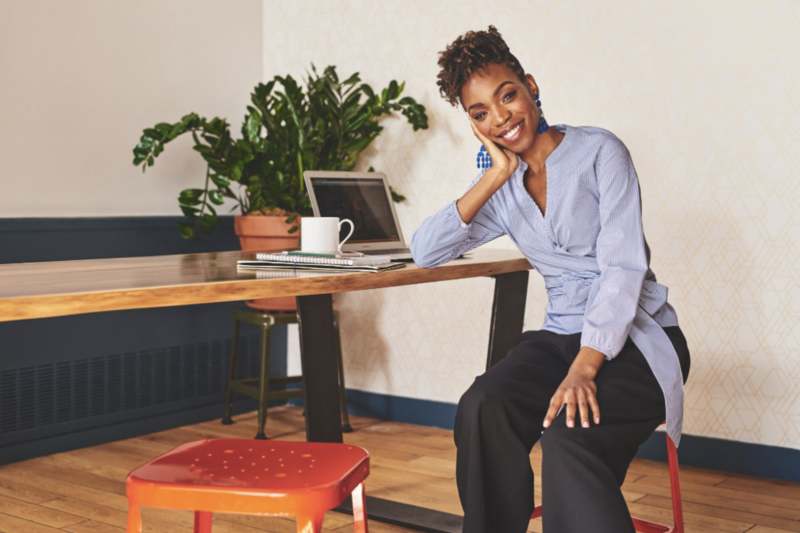 Via a new double partnership with WeWork and LinkedIn, the US retailer has launched an ad campaign and series of in-store panel discussions that are designed to align the brand with today’s shifting workplace and provide wardrobing solutions at the same time. The #StyleMySuccess campaign sees a handful of WeWork members and entrepreneurs including Saeed Jabaar, founder of coding empowerment platform Inclusion, Michelle Dalzon, founder of The Black-Owned Market and Lauryn Chun, founder of artisanal food label Mother-in-Law’s Kimchi starring in J. Crew’s latest catalogue and online editorial shoots. The self-starters were also the main draw for networking and panel talks, moderated by LinkedIn executives, at J. Crew flagship stores in New York and San Francisco earlier this month. While ‘the casualisation of the office’ is a major driver for this campaign, J. 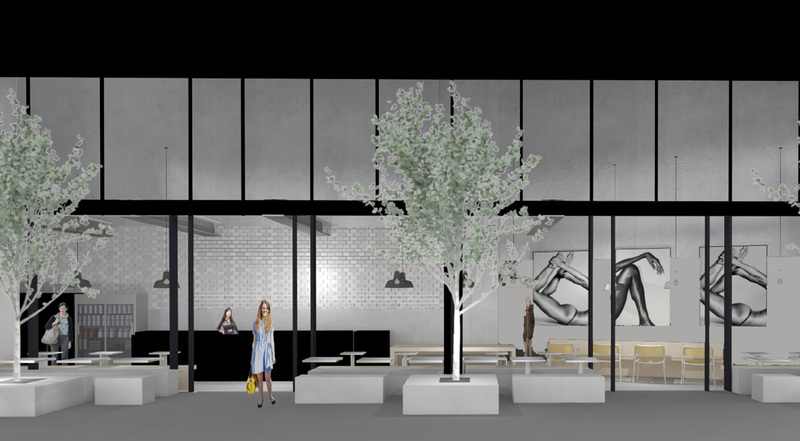 Crew is also tapping into the trend for shifting retail spaces. Watch how WeWork spaces could become pop-up retail hubs soon! A highlight at London Fashion Week was Boden’s Future British pop-up showroom, where a trio of young designers celebrated the support and mentoring from Boden in partnership with the British Fashion Council. Our top pick to buy into now is E.L.V. Denim for its focus on sustainably produced, spliced denim jeans. 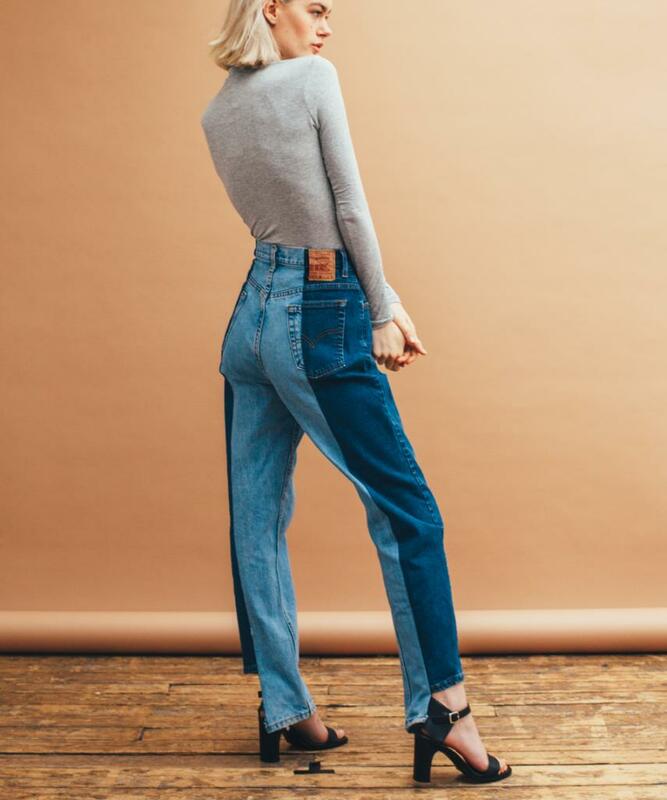 Made from vintage stocks of denim, no two pairs have the same duo-tone denim mix and co-founder Anna Foster says she plans to expand the range using different types of fabric with the same principle of zero waste. Now that Boden has its first physical store location on the King’s Road, perhaps a designer collaboration pop-up is on the cards? With not one or two, but three mega deals in the pipeline for this fashion month, not to mention the reported $5 billion IPO set for September, it was good timing for Farfetch to get all its ducks in a row and announce its phygital ‘augmented retail’ deals with Burberry, Chanel and Middle East luxury retail group Chalhoub. I was under the impression that Farfetch’s Store of the Future concept programme was aimed at multi-label designer boutiques, similar in size to its test boutique Browns East. However, the more I think about it, the less inclined I am to see the value in boutique-business deals. Of course, much smarter for Farfetch to scale up its global luxury brand targets – so handling the e-commerce operations, data-driven personalisation and 360 degree digital customer relations for the likes of Burberry, Chanel and Saks Fifth Avenue Dubai, points towards a new era for luxury online shopping and Farfetch looks to be several steps ahead of competitors. Taking over four windows at Harrods, Vetements gave some new fire to its ongoing conversation about the fashion industry’s problem of overproduction. 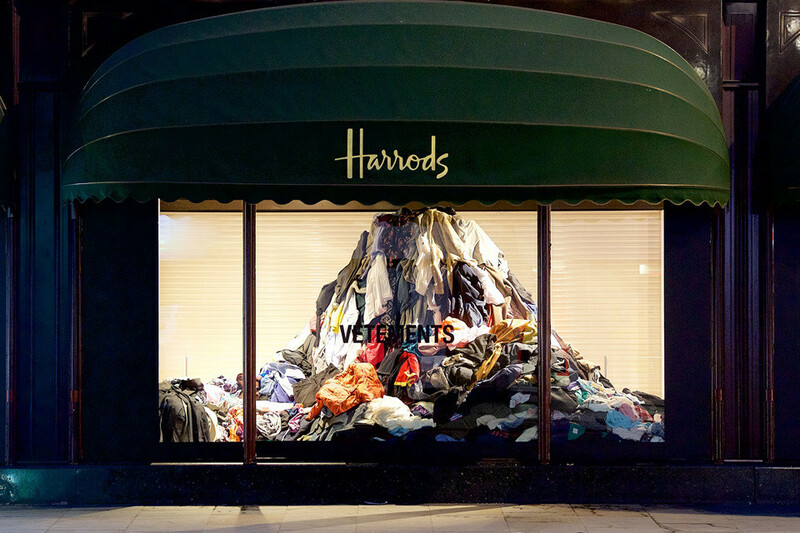 Asking consumers to donate unwanted clothes that would form the window displays of mountains of clothes, CEO Guram Gvasalia told Vogue: ‘For brands to become more sustainable today, they need to do one simple thing: have their supply meet their demand.’ Both window display and donations continue until March 2nd. Are we about to see a resurgence of interest in brands working with Snapchat? For exclusive e-commerce opportunities to be precise? During a Nike-hosted concert after a NBA All-Star game in Los Angeles, guests could use their Snapchat cameras to scan and shop the new Air Jordan III Tinker sneaker without leaving the platform. This seems like a clever move towards ‘hype-commerce’ for brands who want to offer exclusivity and limited edition sales via Snapchat and could, according to L2, help the social platfoerm reverse its waning popularity. In retail terms, Glossier is the modern day, digital equivalent of Avon. Hailed as a beauty brand for networked millennials who are bored by perfection and want a product line that complements, rather than covers up, it is this connected community of customers as advocates that has added another layer of value for investors. Four years since its launch, Glossier is still buzzing on the beauty start-up industry radar and has just secured its latest round of investment – a cool $52 million, (total to date is $86m) for its founder, Emily Weiss to spend on making more ‘meaningful connections’ direct to its customers, says Forbes. This is shaping up to be the e-commerce business model of the decade and it’s largely down to the brand’s army of Glossier Girls – reps who receive advance notice of new products and are often asked to participate in feedback sessions, or host their own community events as well as talk about Glossier’s new products on their social media channels – who as a community, are a huge theme for today’s top new brands says Lean Luxe. 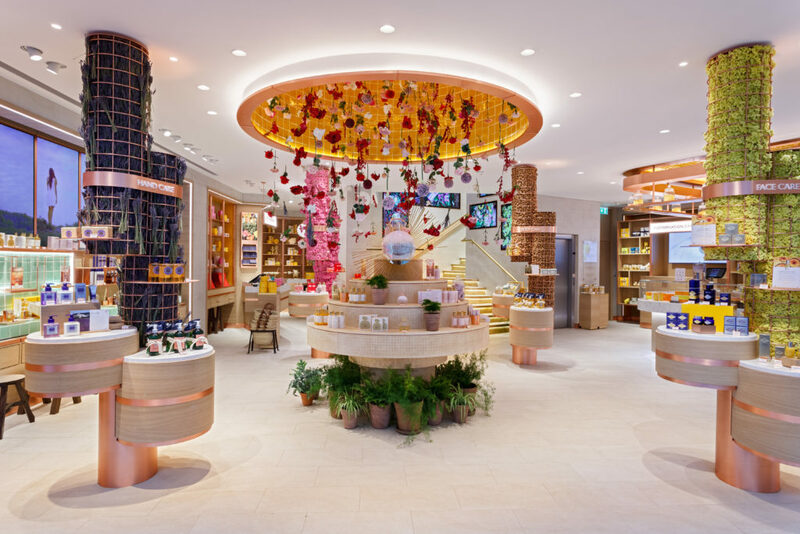 I love a touch of convergent retail and L’Occitane’s new flagship store on Regent Street combines luxurious skincare rituals, floating botanical decorations, a wellness spa and a treat-inducing café in collaboration with French macaron king Pierre Hermé. As Wallpaper notes, the store design is the work of UK- and Amsterdam-based design firm Futurebrand UXUS. George Gottl, the co-founder, set about ‘creating a contemporary Provençal landscape in the middle of London’. Like Ikea and John Lewis before it, Muji has started to experiment with hometail retail environments. A couple of weeks ago the Japanese retailer opened its first pop-up ‘apartment’ – a miniature store completely furnished with Muji’s range of products. For three days only, visitors could browse the utilitarian-style bedroom furniture and bedlinen as well as shop for the new season fashion collections. There was also a fully operational kitchen, showcasing the brands new snacks and hot foods. 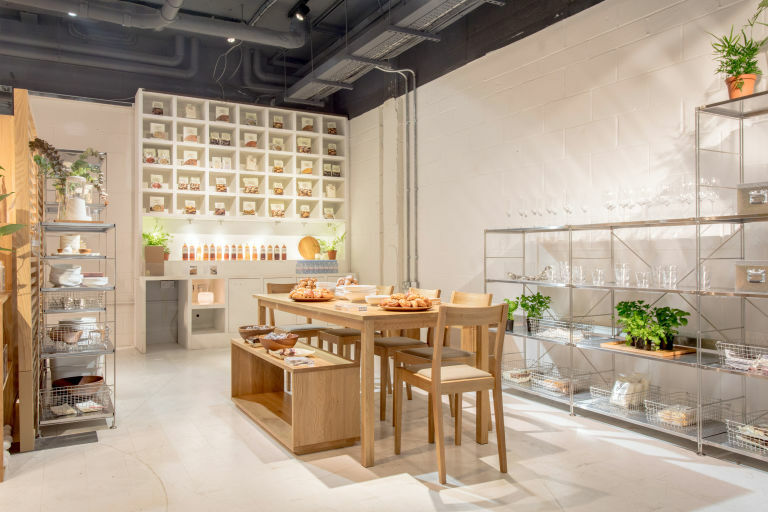 Muji scored extra points for the series of digital events in-store (organisation/mindfulness/sleep/skincare workshops and the one I liked, an Instagram flat-lay styling class) firmly targeting the Insta-interiors and home decor crowd. As property consulting firm JLL puts it, Muji is taking one step closer to blurring the lines between retail and hospitality, and this trend is moving from Asia to Europe. 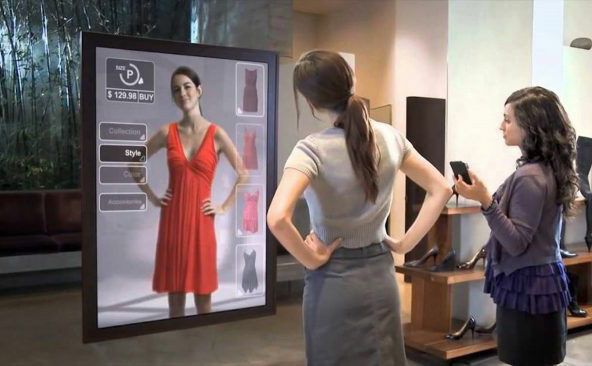 News of Amazon’s magic mirror patent kicked off the ‘new year new you’ fashion-tech conversation. 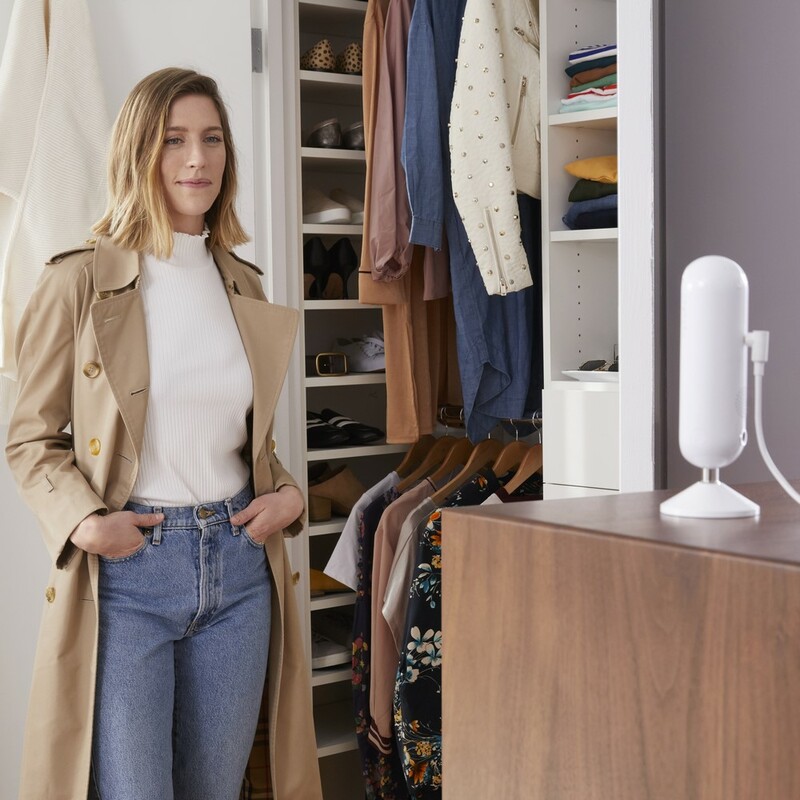 A report on Engadget examined how consumers might soon see a blended virtual reality image of themselves combined with their Alexa Echo Look device that suggests likely outfits of the day. Just another step further into our wardrobes for Amazon’s all encompassing eco-system. 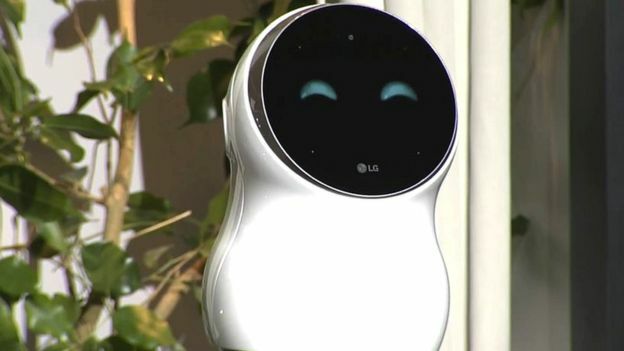 Voice-commerce was a major retail-tech trend at this year’s CES according to JWT Intelligence….as a host of new gadgets or appliances featuring either Amazon Echo or Google Assistant voice-control technology launched to market, signalling we have reached critical mass for voice-command searches and functionality through Internet of Things connected devices. Luxury beauty brands are moving from ambassador-heavy pop-up events to more interactive, experiential parties where clients are meant to ‘live the brand’. 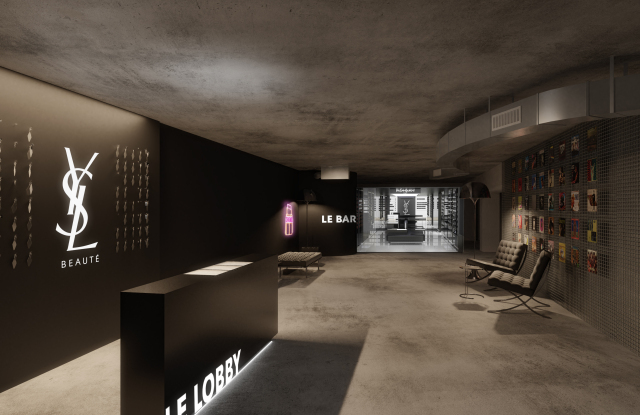 Yves Saint Laurent Beauté launched an extension of its 2017 Beauty Club event format – a four-day pop-up hotel held during this month’s Paris Fashion Week – that was intended for guests to experiment with the brand’s services and products, create digital content for social media, but not make any purchases. This was a strategic shift away from storytelling, moving into more ‘storyliving’ according to Stephan Bezy, international general manager Yves Saint Laurent Beauté, in an interview with WWD. 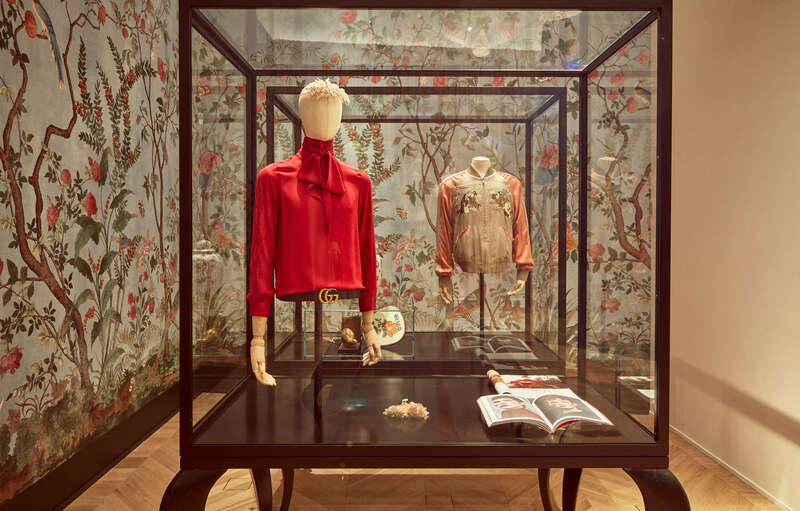 The Gucci Garden pop-up store, museum and restaurant was discovery-commerce in its original form. 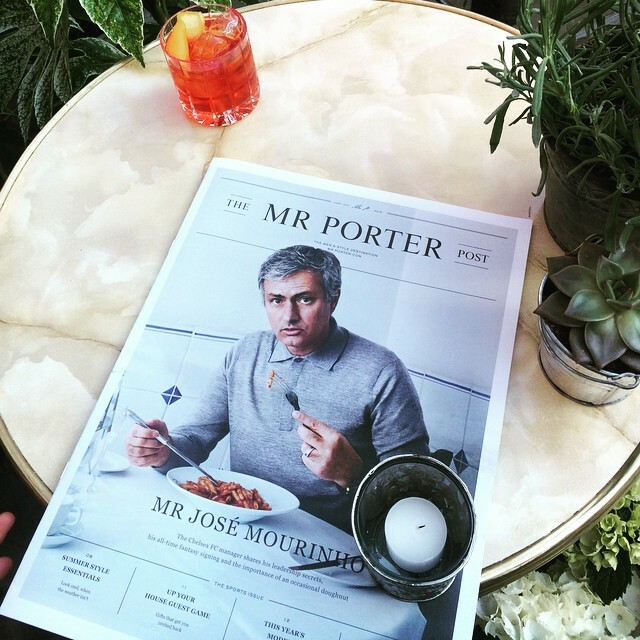 This was a luxury retail experience that offered so much more – a full suite of creative inspirations from the archive museum of prints and personalised designer curations, to the treasure filled cabinets of curiosity, and the luxury space du jour – an Osteria! 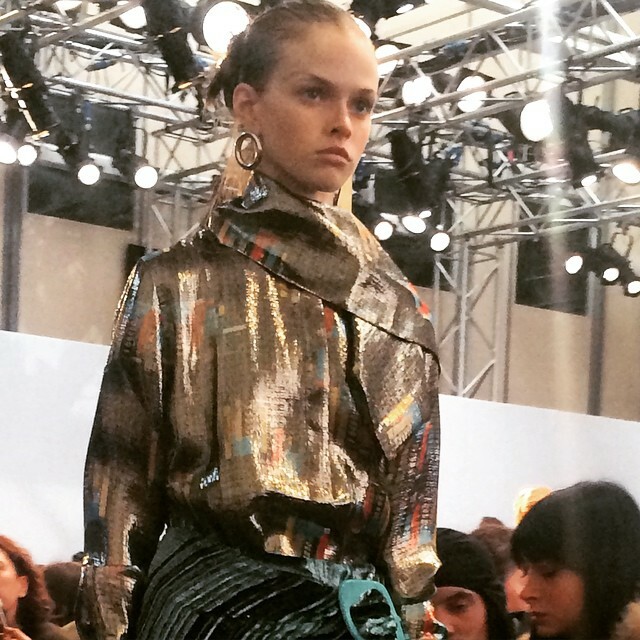 Prada has finally got the digital memo. In December the luxury group launched its e-commerce store in China – after being at risk of being left behind according to Jing Daily – and this month the brand launched an ‘alternative’ travelling pop-up experience in Macau. 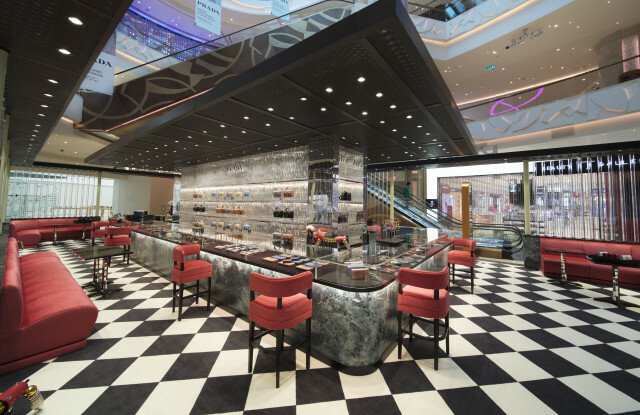 The Prada Spirit is a luxurious traditional Italian café, with central bar area and high bar stools alongside cabinets for exclusive leather goods, that will take in Beijing, Shanghai, Hong Kong and Taipei between now and February for Chinese New Year, reports WWD. There are a handful of new boutique gyms opening this month in London and I like the look of the new Blok outpost in Shoreditch. Isn’t it about time we looked to the boutique gym brigade for a new style of wellness community retail, where brands such as OvertNYC or Phvlo can rent temporary spaces to launch influencer-led collections to engaged, niche communities. The CK x Kardashian-Jenner #MyCalvins familial ad campaign launch was a zeitgeist moment to note: the day when influencer-commerce took over from physical retail. 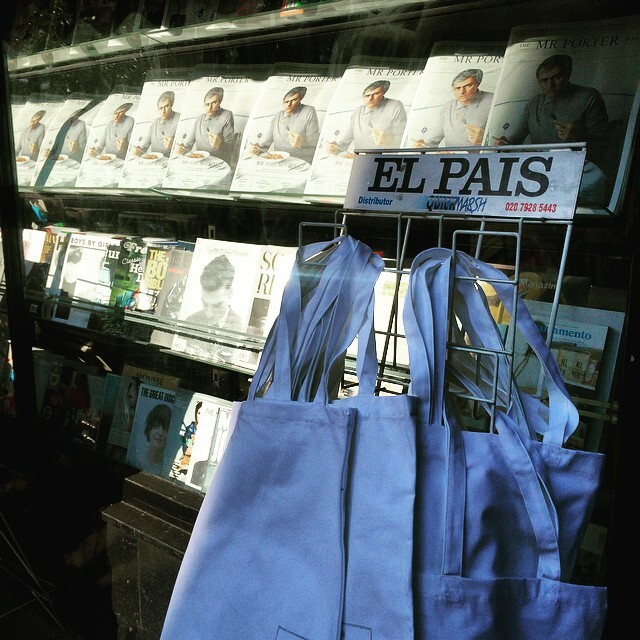 Who needs stores when you can click-to-buy via Instagram? 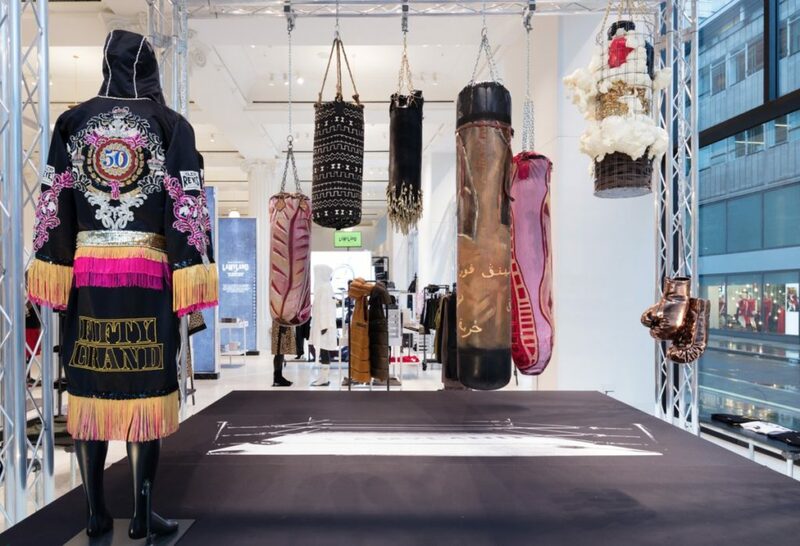 Selfridges pushes the retail experience envelope again this month with its Lamyland boxing gym and Corner Shop pop-up in collaboration with extreme creative muse Michelle Lamy. Part of the department store’s new Radical Luxury campaign, that asks what does new luxury mean today, the focus on boxing is intended to offer a differential view on luxury streetwear and the power of collaboration. Dover Street Market is having a kawaii moment. The new kawaii themed spring/summer collection by Comme des Garcons is the focus in-store and in the windows and it’s a plastic fantastic wonder. Gap is ticking ALL the diversity boxes with its latest #GapLogoRemix ad campaign/ music video featuring a host of young tastemakers from the worlds of film, TV, YouTube and social media. 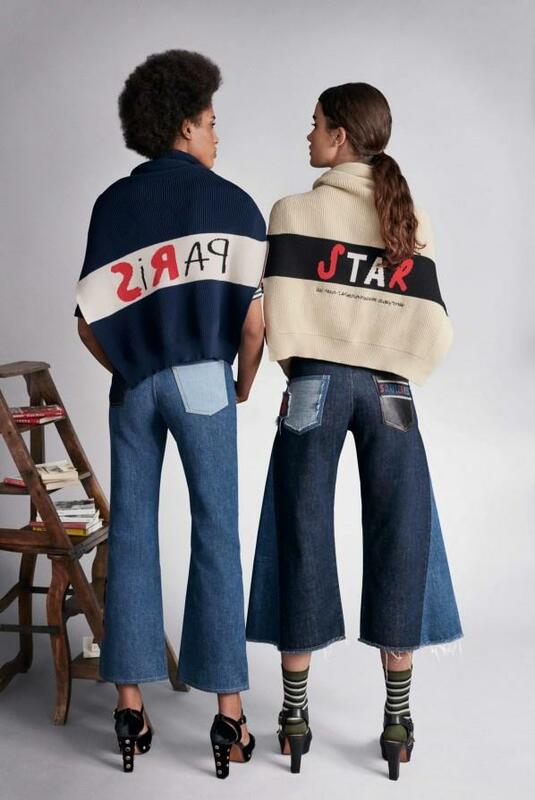 Aside from the 90s heyday merch, Gap is bankrolling a new era of ‘culture-remixing’ says AdAge. Could the brand finally be turning it around? News just in! H&M is launching an off-price marketplace called Afound, dropping in Sweden first, both on-line and stores, sometime later this year. 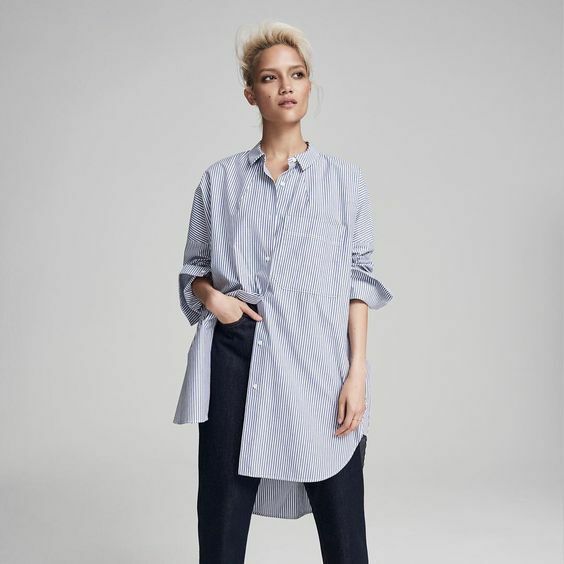 It’s about time too – with big shifts in consumer attitude towards trends such as circular fashion, thrift-chic, seasonless-style and cloud closets – H&M is well placed to set the tone for a new era of mass transparency. Described as a “style- and deal-hunting paradise” it’s hello to old stock from Arket, COS, & Other Stories, not to mention H&M’s countless designer collabs, plus a host of as-yet-unnamed Swedish labels. 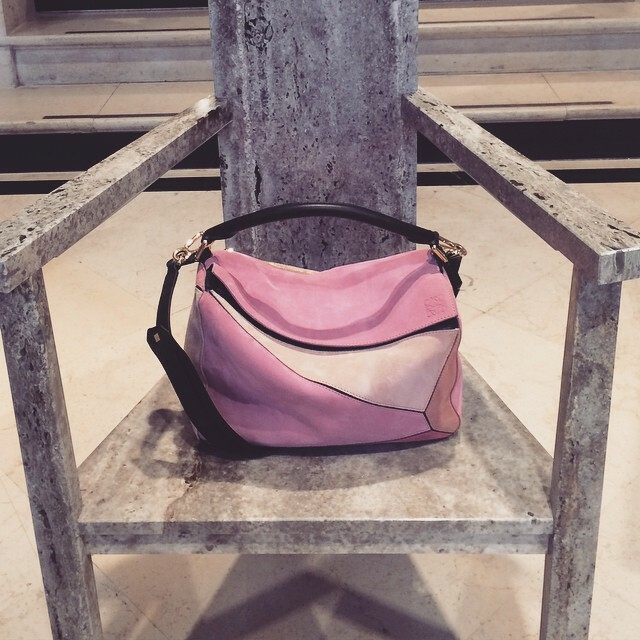 I’m thinking of a style-crush cross between Bicester Village, Depop and Vestaire Collective. As fashion weeks for menswear and haute-couture kick off in Paris, here’s a mini fashion retail safari. 2017 concluded with a spat of high profile closures worldwide especially at the high-street end of the scale including hundreds of stores owned by The Limited, Michael Kors and Bébé in the US. However in France the picture looks different. Global statistics portal Statista predicts that the revenue of clothing store retail in France will remain steady to 2020 ($32.6 bn 2014 to $33 mil in 2020) with independent brands, multi-brand concept stores and pop-ups continuing to drive innovation. Out of the ashes of the high profile closure of the Colette concept store in December 2017 has risen a new boutique operated by two former employees Marvin Dein, previously head of the sneaker department and Sébastien Chapelle, ex-director of high-tech and timekeeping. 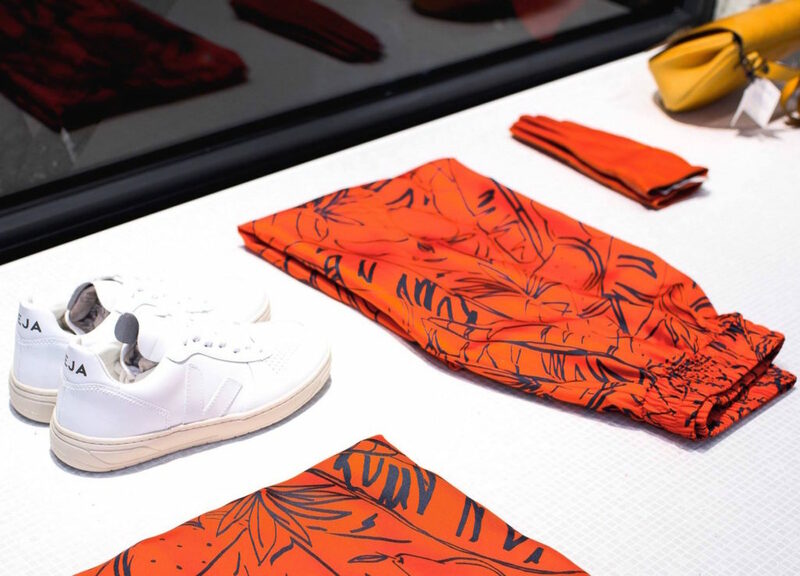 The 150msq store baptized Nous launched January 8th at 48 rue Cambon with an offering that includes men’s streetwear and lifestyle products including high-tech gadgets, watches, glasses, accessories and books. January 2018 saw the launch of the Manifesto capsule collection to celebrate the 50th anniversary of the first Sonia Rykiel collection. 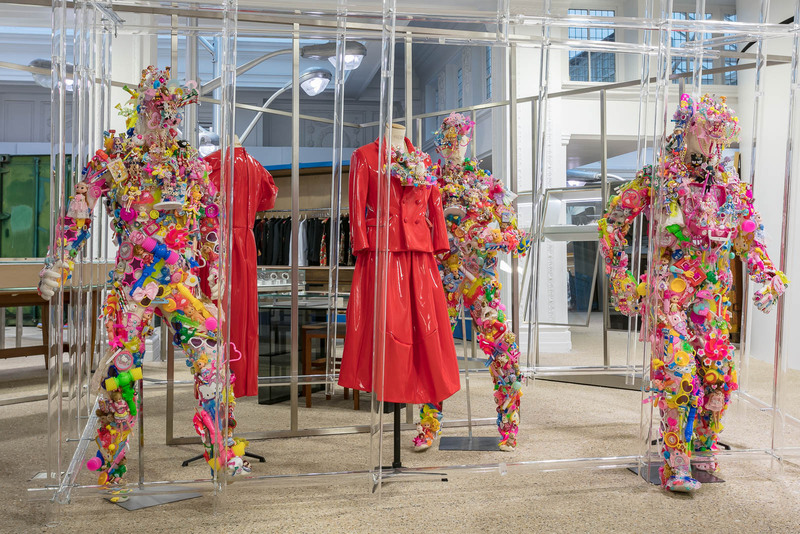 The flagship store (and simultaneously key stores around the world from Japan to New York and London), has been transformed into an immense pop-up with a monumental art installation by Jaro Varga. 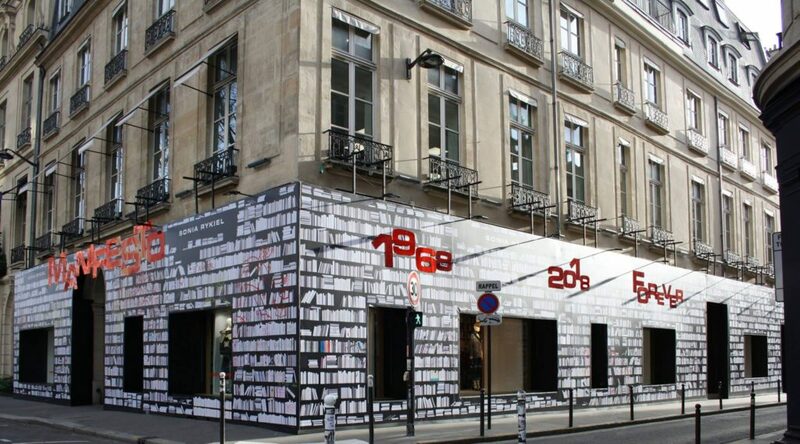 The store design reflects the literary roots of Paris’s Rive Gauche with a striking black and white bookshelf theme featuring the red Manifesto logo and includes an enormous exterior shell attached to the store front. Continuing with the luxury pop-up theme, Christian Dior recently opened the seventh global Tarot pop up at 386 rue Saint Honoré to highlight the current cruise collection. 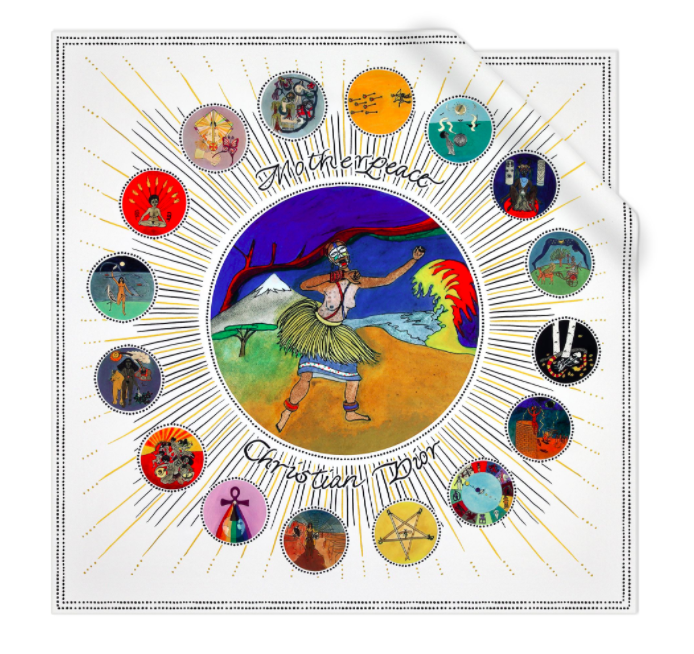 In speaking about the collection, designer Maria Grazia Chiuri said she was inspired by the fact that “Christian Dior was highly superstitious.” The imagery for much of the collection says Chiuri was inspired by the Motherpeace Tarot, a feminist deck that was created in the 1970s. 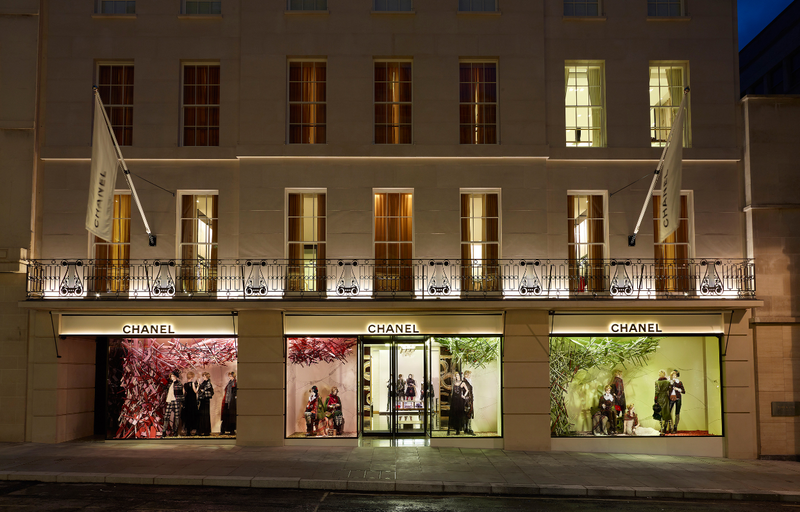 On the Left Bank at 9 rue Madame Centre Commercial recently inaugurated its third Parisian shop. Seven years after the opening of the original Canal St. Martin store, this new location offers 100msq and is decorated with a new design and sleek look, accompanied by neon lights on the ceiling signed by the artist Kleber Matheus. “Transparency, design, traceability in fashion and activism, all of these words reflect the DNA of Centre Commercial,” says founders Francois Ghislain Morillion and Sébastien Kopp. With great fanfare Japanese streetwear label A Bathing Ape recently opened a 450msq store at 34 rue de la Verrerie. A joint venture of parent company I.T. global and French department store chain Galeries Lafayette the Bape Store stocks limited-edition Paris collection alongside the brand’s signature line. The launch was preceded by a clever Instagram campaign to build momentum that included a “Hijacking Night” whereby Bape’s signature camo print appeared at several locations around the city. Much coveted rubber bracelets and tote-bag gifts were handed out at the grand opening to a baying crowd of devotees. Identity-driven retail, discovery-commerce, augmented or mixed reality projections and AI (our friends the chatbots) were all key digital shopping trends at this year’s Wired Retail conference. Here are my top takeaways. I’ll take the world of visual-culture and discovery-commerce over voice-activated replenishment shopping – thank you. The former feels like a fun Instagram Stories fuelled shopping spree, while the latter sounds like a boring, but necessary automated shopping list. Both have a place in the current online marketplace, but according to the likes of Amazon, Facebook and Google, the (near) future of retail will be about marrying both types of shopping behaviours together with a personalised, identity-driven experience. Personalisation is a huge trend in retail right now. According to Google data, 63% of us expect personalisation when we shop online. 2018 will see more retail brands incorporating recommendation tools into their sites, so that we see better targeted products based on our purchasing and browsing history, says Google’s head of retail, Jeremy Morris. ‘The benefit of cross examining customers’ shopping data is getting an end-to-end view of the online journey – from search words to payment,’ says Morris. He points to how U.S. flash sale site Zuilly uses Google’s machine learning software to analyse shoppers’ online data (‘cookies’), so that it can personalise sales per customer, from over 100 sale events per day. Personalised retail is naturally led by many of us giving away data about our identity for the sake of convenience. This activity is increasingly wrapped up in services such as Amazon Pay, according to the company’s head of UK Karen Pepper, who says the payment platform that’s linked to your Amazon account is a frictionless alternative for the 75% of people who ‘abandon’ their online shopping basket faced with the prospect of filling in all those tiresome online forms. ‘Knowing who the Amazon customer is, is based on trust. This really comes into its own in our physical in-store pilots,’ says Pepper. For example, at Amazon’s Kindle stores, as customers walk past the screen displays, personalised prices pop-up because the store tech recognises who they are. ‘Much of Amazon’s physical retail strategy is looking at ways to innovate in–store and learn from our customers,’ she says. ‘The need for speed’ is the most important content creation strategy for brands on Facebook, according to Martin Harbech, commerce director at the social media giant. ‘With Millennial consumers racing through Facebook content on their smartphones at the rate of 2.5 seconds per post, average content consumption speeds are getting faster,’ says Harbech. Especially as under-20s consume social media feeds at twice the speed of people over 40. So, brands will need to work even harder to capture our attention – and quickly. But what makes us stop our constant scrolling? It’s about ‘thumb-stopping’ content that is dependent on a three-second activation rule, according to Facebook. And brands that convey a simple message within a short time span will win. 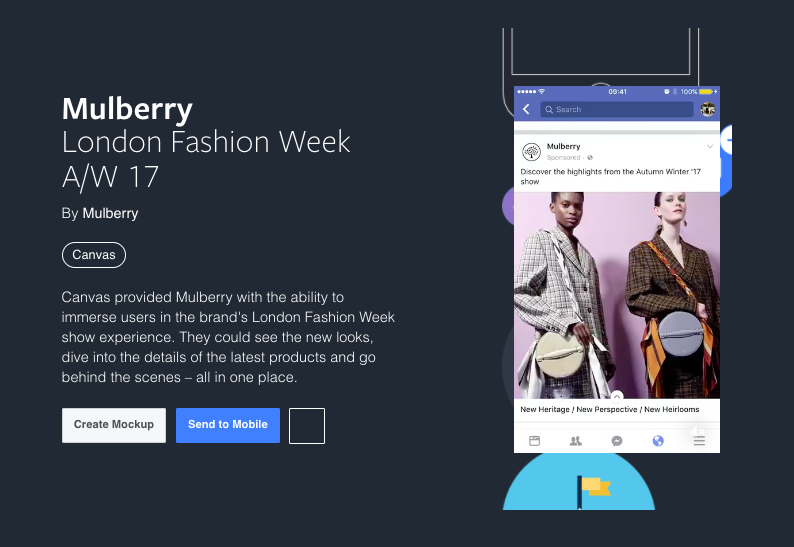 Harbech highlights the recent Mulberry and Facebook Canvas mobile ads as a good example of how to capture browsers’ attention with emotive video that turns into editorial content via a ‘swipe up’ function, which also allows users to ‘shop new arrivals’. ‘This works because it’s discovery, to immersion, to shopping, within seconds. Augmented reality technology, and the practice of layering digital imagery over your screen content, has been touted as a trend to watch for the last couple of years. But recently it has been hailed by industry experts as reaching critical mass in 2018. 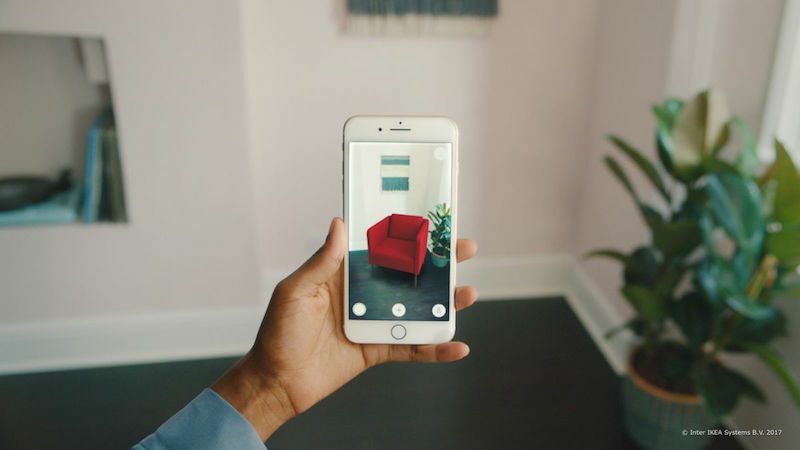 AR will play an increasingly important role both in-store and at home, says Google’s Jeremy Morris, who suggests AR will come into its own for ‘blended’ experiences. For example, we will be able to use AR to navigate a digital shopping list in-store, so ‘this becomes much more about a convenience experience,’ says Morris. AR is already being used by retail brands in China that offer immersive shopping events for a limited time only. 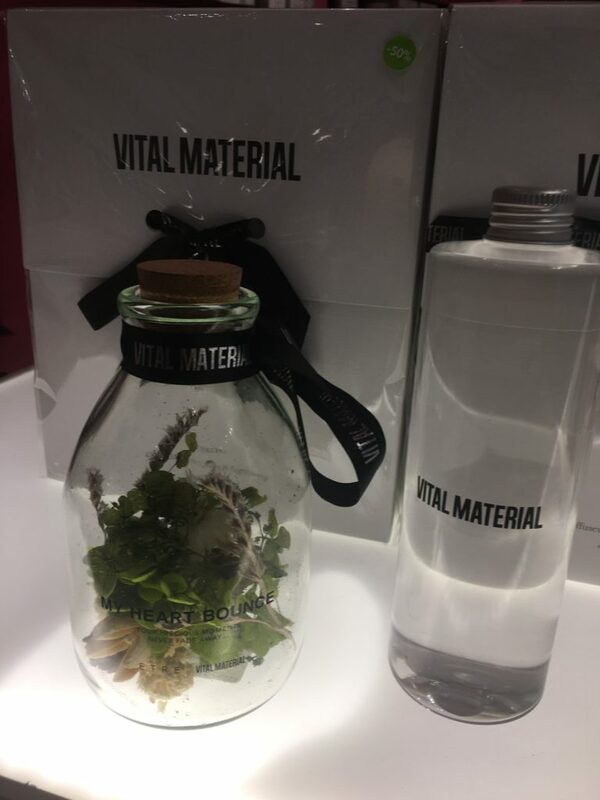 Brands are also starting to think about using AR to provide consumers with richer product information across provenance or sustainability messaging in-store. ‘Ultimately AR will become a blending tool for how to bridge the best of online and the best of physical retail in one place,’ he says. Immersive technology – and where it can go within the fashion industry – is a hot topic with luxury retailers. Brands including Hilfiger, Burberry (top), Swarovski and Dior are using it more and more as a way to engage with customers digitally in-store. 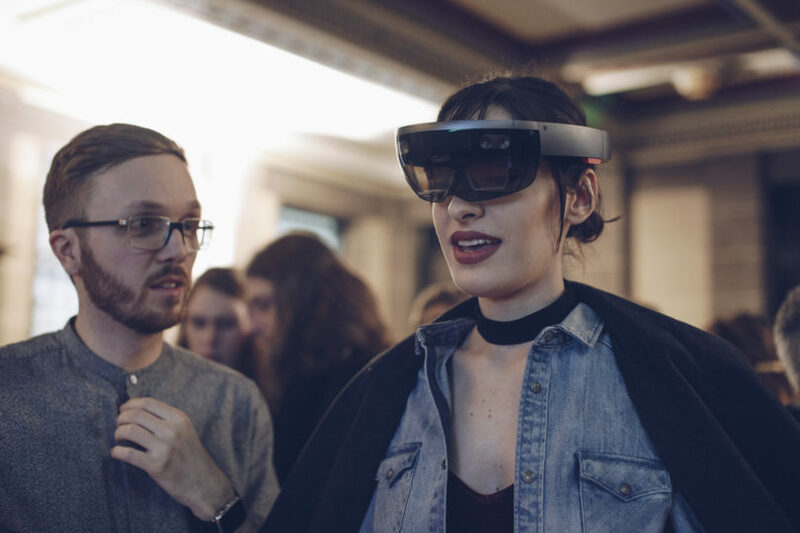 Virtual 3D modelling or ways of projecting holographic images of mannequins has many applications for retail, according to Matthew Drinkwater, head of fashion innovation at FIA, London College of Fashion. 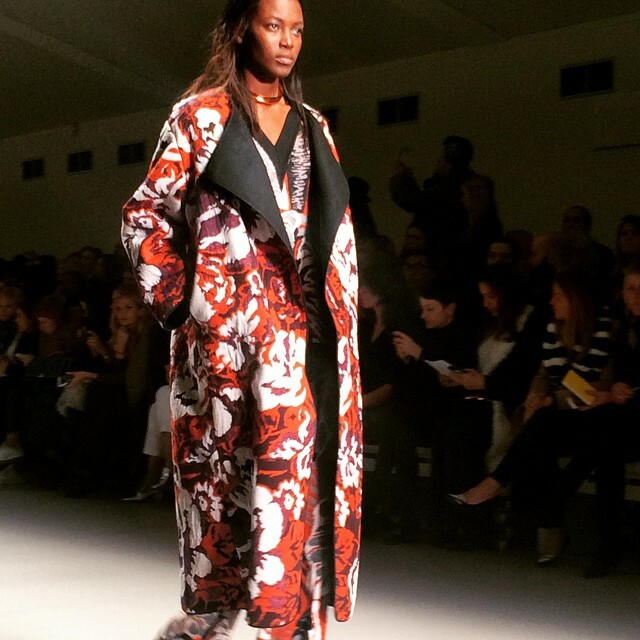 He highlighted one such project for a young British fashion brand, Rixo London, that worked with a start-up called HoloMe to create a virtual catwalk show, that can be projected anywhere on demand. Models wearing pieces from the brand’s latest collection were photographed from multiple angles in order to capture a range of ‘virtual’ moves, with the HoloMe software automatically processing all the images to create a lifelike holographic version of the model. Holographic fashion shows will start to pop up in-stores so that brands can bring the static physical runway show to life – perhaps for a touring live event or for an exclusive in-store promotion. This will also become important for new audiences watching on their screens on demand at home. SnapTech’s Jenny Griffiths says the more consumers shop on mobiles and mix digital research activity with in-store visits, the more brands will know what we want and when to remind us about ‘forgotten’ purchases. ‘In an age when fashion consumers are searching for products for such varied reasons, there is less likelihood they will get what they really want through human search,’ says Griffiths. This is where our friends the chatbots come in. With all this happening on our smartphones already, the pace of consumer interactivity with bots is likely to happen faster than we think. It’s starting now, so make them your friend in 2018. Many of 2017’s retail-tech trends will permeate through into 2018 and make our online shopping lives easier – all for the price of some carefully curated personal data. The truth is, we pre-Millennials will have to brace ourselves for even faster paced changes to our digital lives. But with all this designer tech around, there are plentiful opportunities to make brands give us more tailored and personalised products – and that sounds good to me. 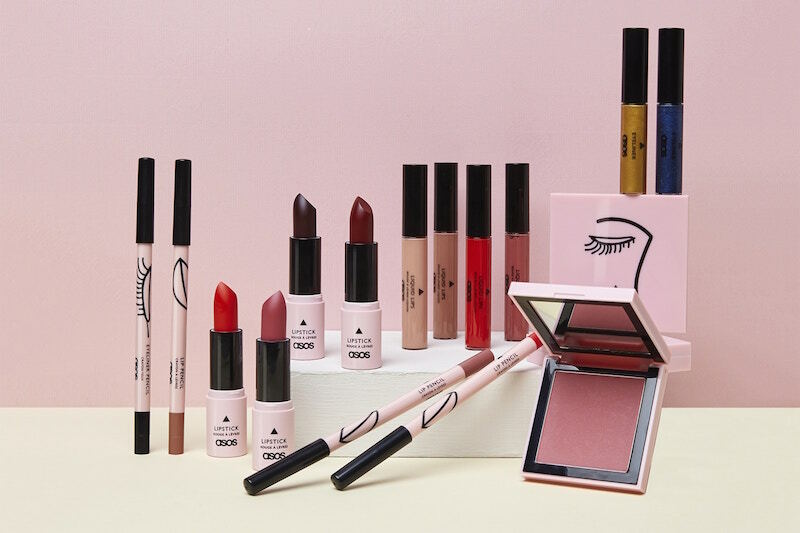 ASOS has joined the beauty teen retail party this week with the launch of its own label cosmetics line ASOS Makeup. Part of a wider re-focus on beauty, the e-commerce giant has expanded its online category Face + Body, which now features a huge range (6000+) of branded products, including many newcomers to the site this September. Over the last couple of years there have been plenty of teen retail launches from fast fashion players looking to target fickle Generation Z and Millennial customers with even faster beauty offers. Over 90% of girls and 69% of boys in the US aged 9 to 17 are cosmetics users, according to Mintel. From Primark and H&M to Missguided, New Look and more recently Boohoo, the sector is alive and well with new fast cosmetics product launches that take their design cues from beauty dupe brands such as Kiko, E.L.F. and Nyx. While more ‘hyper-transparency’ focused brands such as Beauty Pie also appeal to this cohort and serve up a more informed, ethical stance that offers a value-led proposition in the same price bracket. According to a Business of Fashion report (sub req), these types of cosmetics brands are disrupting the distribution model of the market with monthly or fortnightly product drops that focus on SEO driven social media commerce and influencer marketing to drive sales. ASOS has its own network of in-house beauty stylists to help drive this influencer-commerce marketplace and is now in a position to further drive innovation via its new 46-piece make-up line (top and below) that features liquid lipsticks, prime colour eyeshadows and contouring palettes with names such as Decisive, Just Breathe and Overqualified. The key in this increasingly crowded retail sector is self-expression and attitudinal marketing. Creative direction and language is less fashion or catwalk influenced, more gender-fluid and tribal nuanced. Niche cosmetics brands such as Milk and 3INA have shown how strong brand community and identity-focused imagery can do the job of visual storytelling. 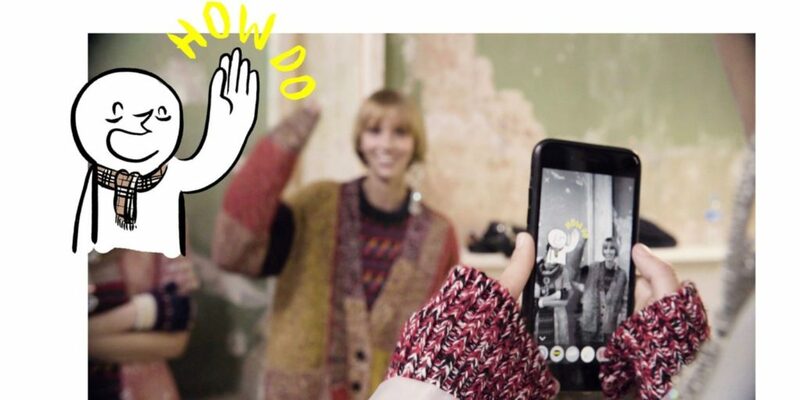 It is this adventurous, disruptive mood that ASOS has tapped into with its new Go Play digital campaign that was launched via a Snapchat lens and experiential two-day physical pop-up event in London at the beginning of September. The ASOS Go Play bespoke Snapchat lens is available for 90 days (from 4 September) via an exclusive Snapcode on outdoor media, which lets customers unlock the lens. 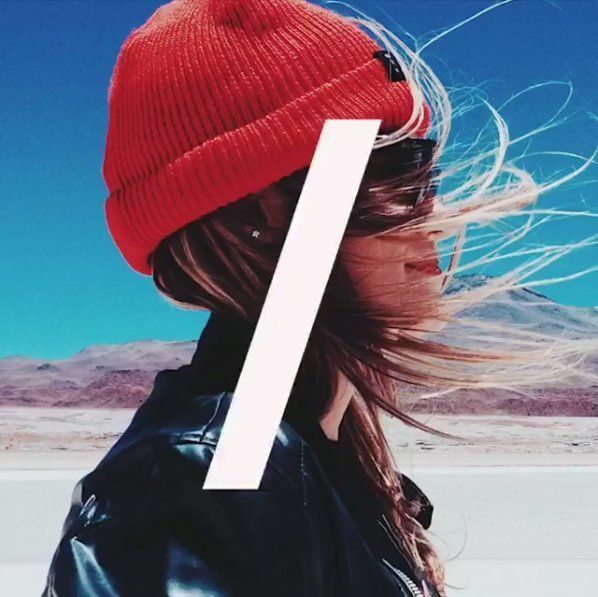 ASOS Go Play combines a multi-functional digital focus across social-commerce, augmented reality experimentation and influencer marketing-led experiential, immersive retail. I like the clever phygital approach that shows how physical retail brands should be thinking about digital marketing whether they have stores IRL or not.